Once a month, we put together a list of stories we’ve been reading: things you might’ve missed or crucial conversations going on around the web. We focus on environmental and social justice, cities, science fiction, current events, and political theory. We try to include articles that have been published recently but will last, that are relatively light and inspiring, and are from corners of the web that don’t always get the light of day. This will also be a space to keep you up to date with news about what’s happening at Uneven Earth. The summer has been slow, and we haven’t been publishing much. But the fall promises some exciting new initiatives, so stay in the loop. We received some feedback that our list just has too much good stuff. How to read it all? To address this, we’ll now start highlighting our top 5 must-reads for the month. Skip all the rest if you must, these are worth reading surreptitiously at the office. This month, we invited Anthony Galluzzo to offer some of his favorite readings. He is an adjunct professor at New York University, specializing in 19th century literature and the history of utopia. The editors at Uneven Earth asked me to collect those readings that stood out from August 2018. Both my recent work and political convictions focus on potential intersections between Marxism and the degrowth movement in the service of a decelerationist program. This puts me in what feels like a very lonely position these days, when much of the Anglo-American left, from social democratic near to sectarian Marxist far, is once again enamored of Prometheanism of various sorts—accelerationism, fully automated luxury communism, and “left” eco-modernism”—all of which can be subsumed under the rubric of Jetsonism. Eco-modernism is largely the provenance of techno-utopian libertarians, associated with outfits like the Breakthrough Institute, whose adherents propose large-scale and scientifically dubious technological solutions to the climate crisis, such as geoengineering, the better to safeguard specifically capitalist patterns of ecologically ruinous and exploitative “growth.” Why would self-described socialists and communists push such a thing? We should not underestimate the dangerous marriage of ossified dogma—regarding the development of the forces of production—and puerile sci-fi fantasy—about weather control and terraforming Mars and building Star Trek—that we often find among many of today’s extremely online toy Bolsheviks. Arctic fire. Richard Seymour offers a moving and powerful rejoinder to the ecomodernists, including various flavors of Jetsonian leftists, who minimize the ecological crisis in promoting unlikely technological “solutions” to anthropogenic global warming in lieu of a radical socio-ecological transformation (such as ecosocialist degrowth). 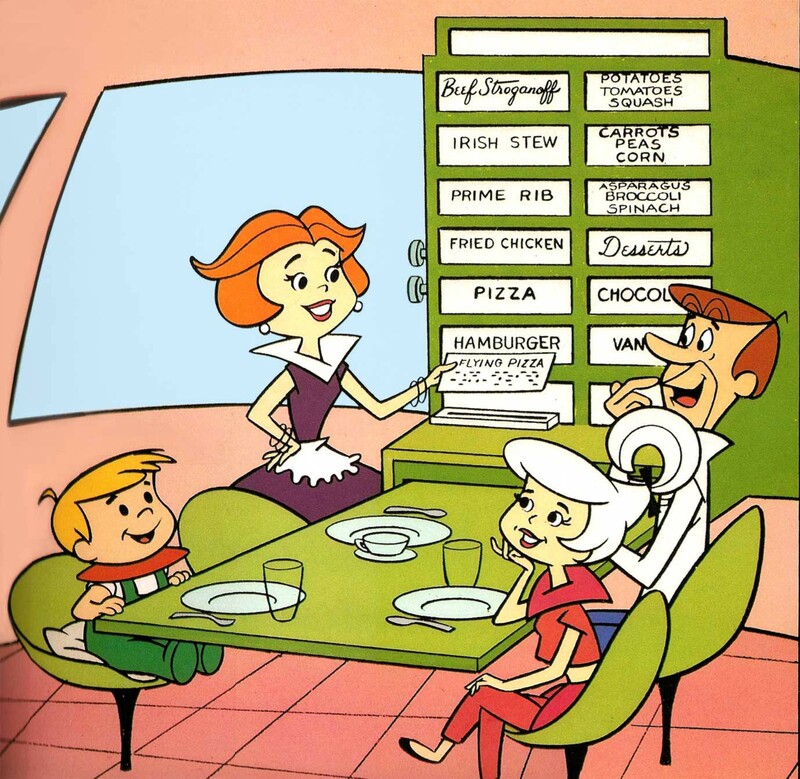 These Jetsonians preach “anti-catastrophism” against the “hairshirts” in the midst of an actual catastrophe—all the while dreaming of how they’ll beam themselves up to some fully automated luxury Martian retreat—a socialist one of course! Against this dangerous whiggery, I say: if you aren’t a catastrophist, you aren’t a comrade. Major plan to deal with climate change by geoengineering the Earth would not work, scientists reveal and Rain dancing 2.0′: should humans be using tech to control the weather? Speaking of “unlikely technological solutions” or schemes designed to protect capital’s growth imperative rather than our dying biosphere, precautionary principle be damned, geo-engineering and the interests that are driving it have come under scrutiny of late. Also see the enduring nuclear boondoggle, even as various ecomodernist voices on the left are pushing it as THE solution to the energy crisis, once again: Scientists assessed the options for growing nuclear power. They are grim; and an older, but still relevant, piece on this matter: Socialists debate nuclear, 4: A green syndicalist view. To freeze the Thames and If you want to save the world, veganism isn’t the answer. Troy Vatese offers an alternative model of decarbonization through what he calls “natural geoengineering”: rewilding farm land through a program of “compulsory veganism” in order to effect hemispheric cooling along the lines of the little ice age. But what if veganism, with its reliance on industrial farmed monocrops, such as soy, is part of the problem, as organic farmer Isabella Tree argues? Artificial saviors. And speaking of Jetsonism, this essay on Silicon Valley solutionism, transhumanism, and techno-utopianism—by radical computer scientist tante—as theology is right on the mark, as is the entire special issue of boundary 2, “On The Digital Turn,” from which it comes. The belly of the revolution: Agriculture, energy, and the future of communism and Logistics, counterlogistics and the communist prospect. Jasper Bernes’s critical appraisal of (capitalist) logistics and supply chains in Endnotes 3 is one of the more rigorous left communist explorations of the way our megatechnics embed exploitation and the capitalist value form in their very architectures, against those who argue for socialist or eco-socialist “repurposing.” Bernes grapples directly with the ecological crisis—and the central questions of energy and agriculture—in this latest essay, as he marries critical Luddism to ecocommunist critique. Losing Earth, Capitalism killed our climate momentum, and How not to talk about climate change. Nathan Rich’s informative 70+ page NYT investigative piece “Losing Earth” on the failed attempt to stop climate change on the part of various US government scientists and policy-makers in the late 70s and 80s is just as notable for what it leaves out: the role of capitalism and its growth imperative. Plastic straws and the coming collapse. In the same way that magical techno-solutions to the ecological crisis are a morbid symptom—weaponized wishful thinking—so too is the ethical consumerism most recently exemplified by the campaign against plastic straws, as Rhyd Wildermuth demonstrates in her piece. Richard Powers: ‘We’re completely alienated from everything else alive’ and The king of climate fiction makes the Left’s case for geoengineering. At this point, I will take Richard Powers over Kim Stanley Robinson—despite Aurora’s definitive imaginative crystallization of the anti-Promethean position—who, drunk on his more ridiculous techno-fantasies, equates geoengineering and the ecomodernist fantasia with “science.” Powers, on the other hand, implicitly understands that a radically different set of eco-social relations is the only adequate way to begin devising a collective solution to our predicament. What happened in the dark: Puerto Rico’s year of fighting for power. Building the future. Innovative municipal projects are tackling local housing problems worldwide. Samir Amin has died. Don’t know who he was? Read Death of a Marxist, by Vijay Prashad and Revolution and the Third World, an interview with Ali Kadri. New report warns dire climate warnings not dire enough. What has caused the number of US worker co-ops to nearly double? The 1.5 Generation. My generation is radically remaking climate activism. Will it be enough? “The price on everything is love”: How a Detroit community overcomes a lack of city services. A range of neighbor-to-neighbor efforts address basic needs, from healthcare to food access, that are going unmet by local government agencies. These democratic socialists aren’t just targeting incumbent politicians. They’re going after slumlords and real-estate speculators. Public land is a feminist issue. 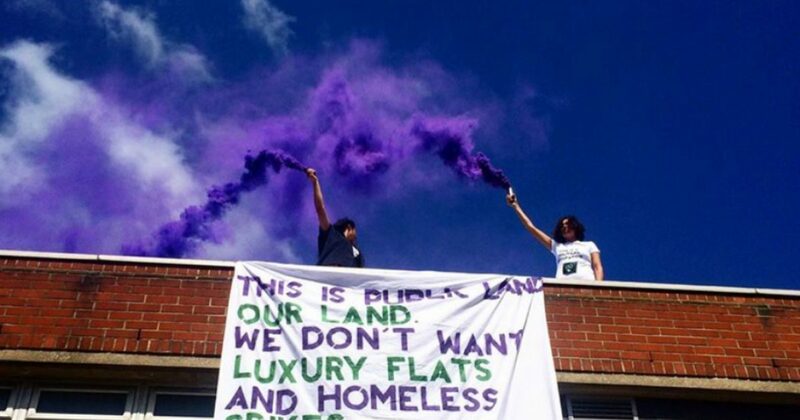 Community housing groups across London are putting women and non-binary people at the forefront of their plans for building affordable housing. Small and shared vs McMansions and slums? Degrowth housing experiments demonstrate a different future. A call for socialists to connect the dots between housing, racial, migrant justice, and climate change. Ecomodernism and nuclear power: No solution for climate change. In ‘Energy: A Human History,’ Richard Rhodes trivializes the dangers of nuclear power and plunges into the abyss of ecomodernist technobabble. Who really pulls the strings? The director of Global Witness asks who really is responsible for corruption and extractive industry crimes. A sufficiency vision for an ecologically constrained world. Human waste is a terrible thing to waste. If major global cities repurposed human waste as crop fertilizer, it could slash fertilizer imports in some countries by more than half. The ugly truth of ugly produce by Phat Beets collective. “Deindustrialization”: a word you virtually never hear in the debate around global warming. A call for public discussion of the role of deindustrialization in building an alternative to the catastrophic course of 21st century capitalism. On the labor of animals. The place of animals in relation to left movements. Bitcoin shows the scale of change needed to stop the climate crisis. The cryptocurrency produces as much CO2 a year as a million transatlantic flights – and that number is set to grow. How ‘natural geoengineering’ can help slow global warming. By preserving top predators to control populations of herbivores, we can limit grazing, which reduces CO2 absorbed by ecosystems. The 1680 Pueblo Revolt is about Native Resistance. As Pueblo People, how do we develop a common political consciousness around our unique history and present situation? The first step is looking at the Pueblo Revolt of 1680 and understanding its significance. 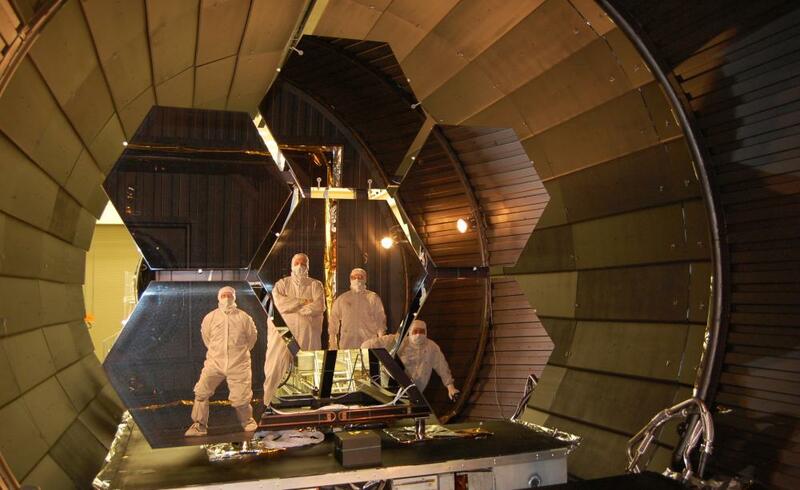 Science alone won’t save the world. People have to do that. Seaside reads to change the world. 300 reads on topics ranging from social change, individual action, and new economy to women and feminism, collected and compiled by Lucy Feibusch and Kate Raworth. The book Indigenous and decolonizing studies in education, edited by Linda Tuhiwai Smith, Eve Tuck, and K. Wayne Yang is now available to read for free online. This newsletter is put together by Anna Biren (@acathbrn), Rut Elliot Blomqvist (@RutElliotB), and Aaron Vansintjan (@a_vansi). Want to receive this as a newsletter in your inbox? Subscribe here. We’ll try to include articles that have been published recently but will last, that are relatively light and inspiring, and are from corners of the web that don’t always get the light of day. This will also be a space to keep you up to date with news about what’s happening at Uneven Earth. In June, we read stories about new political strategies, decolonial re-imaginings, community resilience, and revolutionary ideas around the world. We also included articles about the escalating climate crisis and the root causes of climate and environmental injustice. The team expands: Anna Biren, who has been working on these newsletters for the past 6 months, is now on board as a new editor at Uneven Earth! ‘Carbon bubble’ could spark global financial crisis, study warns. Advances in clean energy expected to cause a sudden drop in demand for fossil fuels, leaving companies with trillions in stranded assets. Meat and fish multinationals ‘jeopardising Paris climate goals’. New index finds many of the world’s largest protein producers failing to measure or report emissions, despite accounting for 14.5% of greenhouse gases. San Francisco residents were sure nearby industry was harming their health. They were right. India faces worst long term water crisis in its history. Droughts are becoming more frequent, creating problems for India’s rain-dependent farmers. How our colonial past altered the ecobalance of an entire planet. Researchers suggest effects of the colonial era can be detected in rocks or even air. Roadmap for radicals. Mel Evans and Kevin Smith interview US-based organiser and author Jonathan Smucker, whose new book Hegemony How-To offers a practical guide to political struggle for a generation that is still ambivalent about questions of power, leadership and strategy. This land is our land: The Native American occupation of Alcatraz. How a group of Red Power activists seized the abandoned prison island and their own destinies. A world more beautiful and alive: A review of The Extractive Zone. 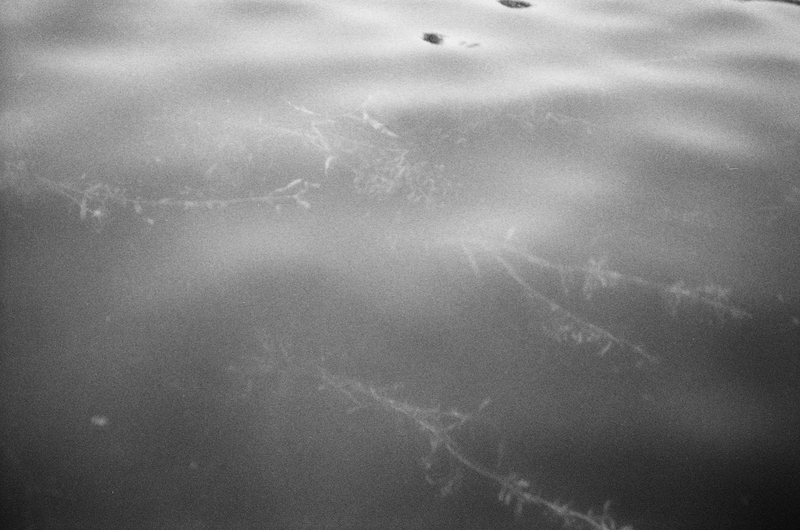 From Ecuador, Perú, Chile, Colombia, and Bolivia, Marcena Gómez-Barris describes “submerged perspectives,” the decolonial ways of knowing that unsettle colonial relationships to land and the forms of violence they reproduce. Letter to America, by Rebecca Altman. Everything is going to have to be put back. 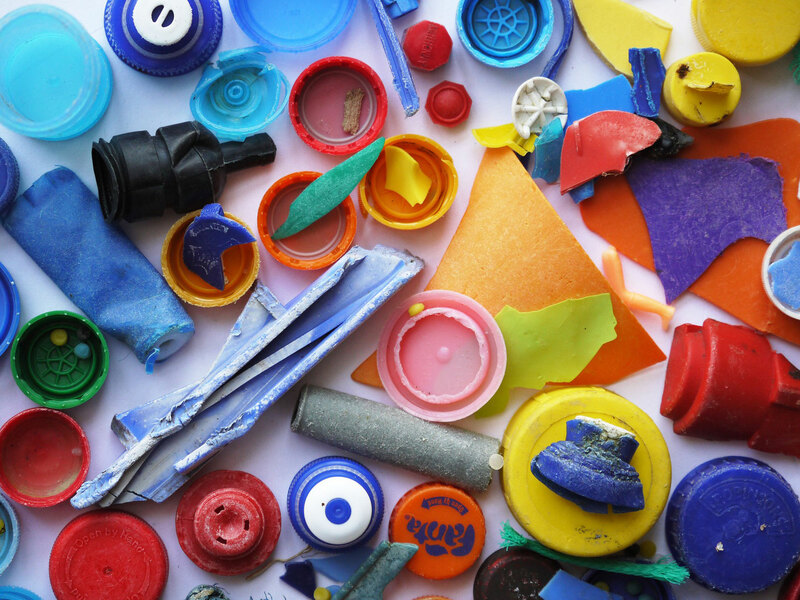 Our plastic pollution crisis is too big for recycling to fix. Corporations are safe when they can tell us to simply recycle away their pollution. The Enlightenment’s dark side. How the Enlightenment created modern race thinking, and why we should confront it. And a brief history of race in Western thought. Puerto Rico is a “playground for the privileged”: Investors move in as homes foreclose & schools close. While healthcare, the public school system and infrastructure in Puerto Rico are flailing nine months after Hurricane Maria ravaged the island, wealthy investors have descended on the island to turn a profit. An interview with Naomi Klein and Katia Avilés-Vázquez, a Puerto Rican environmental activist. A new era of uranium mining near the Grand Canyon? With scant data on risk, Republicans push to open a ‘perfect’ mining opportunity. Rent strikes grow in popularity among tenants as gentrification drives up rents in cities like D.C. Increased deaths and illnesses from inhaling airborne dust: An understudied impact of climate change. ‘Processing settler toxicities’ part 1 and part 2. An Indigenous feminist analysis of the connections between industrial capitalism and colonialism, imperialism, and the pollution and destruction of human and nonhuman worlds. Carbon Ironies: William T. Vollmann on the hot dark future. 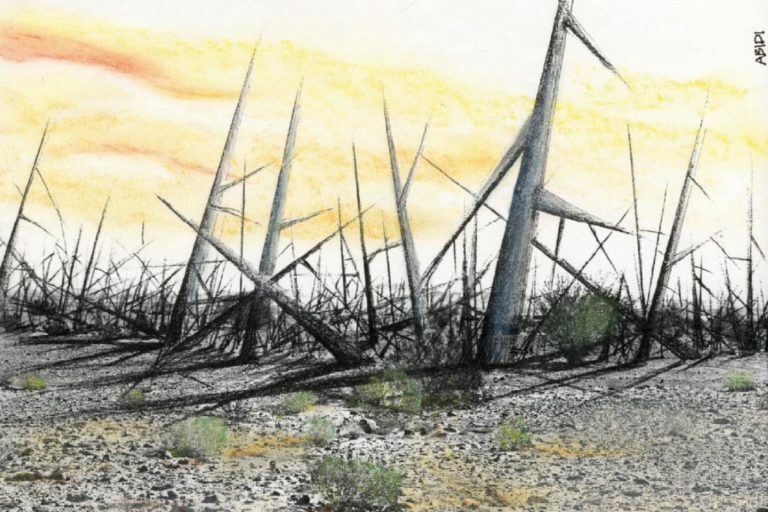 A review of William T. Vollmann’s Carbon Ideologies—a book that is rightly sarcastic and pessimistic about the prospects of “solving” the problem of climate change but stuck in the false either/or choice between solving everything and doing nothing whatsoever, argues Wen Stephenson. Patterns of commoning: Commons in the pluriverse. An essay by Arturo Escobar. The mask it wears. Pankaj Mishra reviews and compares the propositions about how to work for equality in The People v. Democracy: Why Our Freedom Is in Danger and How to Save It by Yascha Mounk Not Enough: Human Rights in an Unequal World by Samuel Moyn. The Transition Towns movement… going where? A critique. The dark side of nature writing. The recent renaissance in nature writing also revives an overlooked connection with fascism. It takes a village, not a European, to raise a child. White people, through systematic oppression, actively create, profit from and maintain a market that institutionalizes children throughout Africa. 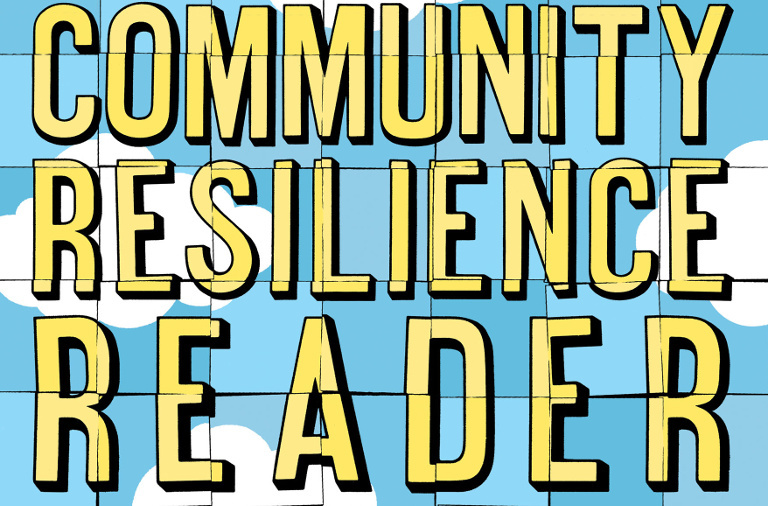 The community resilience reader. Essential resources for an era of upheaval, available for free. Want to receive this as a newsletter? Subscribe here. It always feels like things are happening all at once: just as the global economy is transforming radically and we face an environmental crisis of global proportions, new social movements are rising up giving us new ways to think about the future. Weirdly, just at this moment, some are latching on to an idealized vision of modernity and the Enlightenment to defend the status quo. This month, we read articles that complicated the idea of modernity and offered ways to think about society and nature that incorporate, but go beyond, the Enlightenment tradition. We also highlighted international environmental justice movements, showing that not everything is rosy—but people are fighting and thinking in creative ways, imagining different kinds of modernity and new kinds of internationalism. 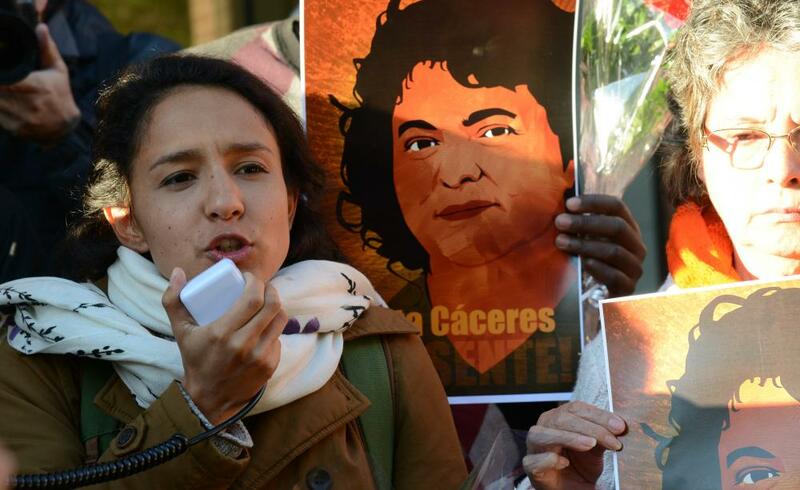 And lest we forget, March is women’s history month, and what better way to celebrate it than to highlight the—often undervalued—role that women play in global environmental justice movements? Climate science’s official text is outdated. Here’s what it’s missing. The Paris accord is built on speculative ‘tech fantasies’. It can not save us from climate catastrophe. Their forefathers were enslaved. Now, 400 years later, their children will be landowners. A rare victory for the Brazilian poor, as record Amazon land tract is handed over to descendants of escaped enslaved people. ‘We are the forgotten people’: It’s been almost six months since Hurricane Maria, and Puerto Ricans are still dying. A multi-media feature. The battle for paradise: Puerto Ricans and ultrarich “Puertopians” are locked in a pitched struggle over how to remake the island. Naomi Klein reports on the uneven legacy of the hurricane. A reign of terror: Extra-judicial killings in Duterte’s Philippines. Dorothy Guerrero from Global Justice Now on the killings and opportunities for a Left response. Afrin in Kurdish Syria has been occupied by an invading Turkish army. Here are some articles providing some further context. Love in a hopeless place. A first-hand account from a German internationalist YPG fighter from the now nearly forgotten battle of Raqqa. 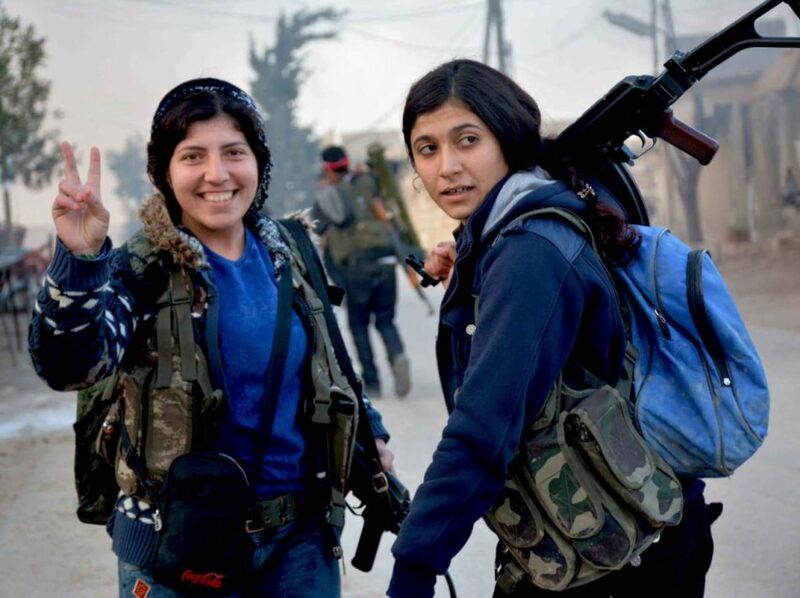 The Kurds need Canada: What level of atrocity won’t we ignore? Dear Hêlîn, or Anna—because I know you liked your both names. A letter to a British national who died in Afrin. Counter-mapping: cartography that lets the powerless speak. How a subversive form of mapmaking charts the stories and customs of those who would otherwise be ignored. Some millennials aren’t saving for retirement because they don’t think capitalism will exist by then. They’re forming intentional communities and solidarity networks to support and protect each other. The wind of change: Renewables and self-determination. Katie Laing explores the fight for the right to community renewables on the island of Lewis. On one hand is a system that brings direct community control and builds a local economy, on the other one that extracts profit, control and resource from the islands. An interview with David Bollier on the meaning of the commons for social transformation. The Barcelona city government is trying to remunicipalize its water system from a private company. The rising tide for the democratic control of water in Barcelona. 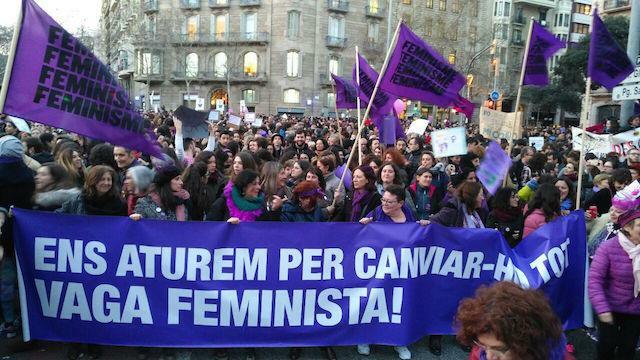 An interview with Laura Pérez on the recent massive women’s strike in Spain, and what it means for the “feminization of politics” in Barcelona. Carving out the commons. By now, you could be forgiven for assuming that “the commons” refers to another cocktail bar or coffee shop in yet another neighborhood people used to be able to afford. But Amanda Huron’s new book grounds the romantic notion of urban commons in the everyday struggles of working people. Why are water wars back on the agenda? And why we think it’s a bad idea! Why Amartya Sen remains the century’s great critic of capitalism. 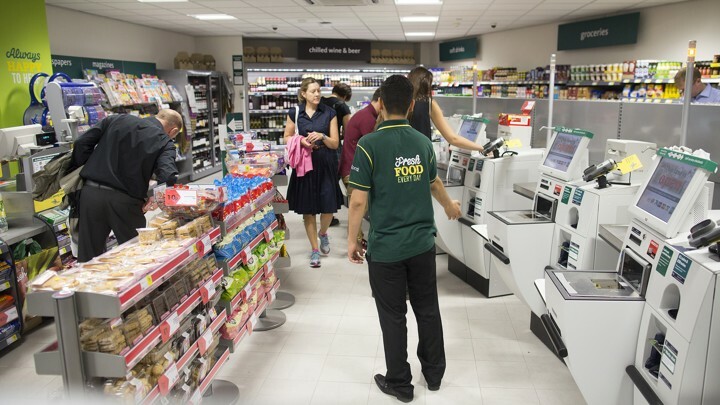 In Sen’s work, the two critiques of capitalism – moral and material – cooperate. He disentangles moral and material issues without favouring one or the other, keeping both in focus. Surveillance capitalism. Deleting our Facebook accounts following the recent privacy scandal is not enough: we need to challenge the structural problem of surveillance capitalism. On the digital and social networks supporting authoritarian populism, and what can be done to resist them. For those who are active on Facebook, an instruction on how to use it while giving it the minimum amount of personal data. Loneliness and poor mental health still reign around the world. Since Japanese seniors increasingly find themselves living alone and with no one to talk to, a generation in Japan faces a lonely death, and committing petty theft has become a way for elderly women in particular to escape solitude and isolation; nearly 20% of women inmates in Japan’s prisons are seniors. How American masculinity, by sending the message that needing others is a sign of weakness and that being vulnerable is unmanly, creates lonely men. 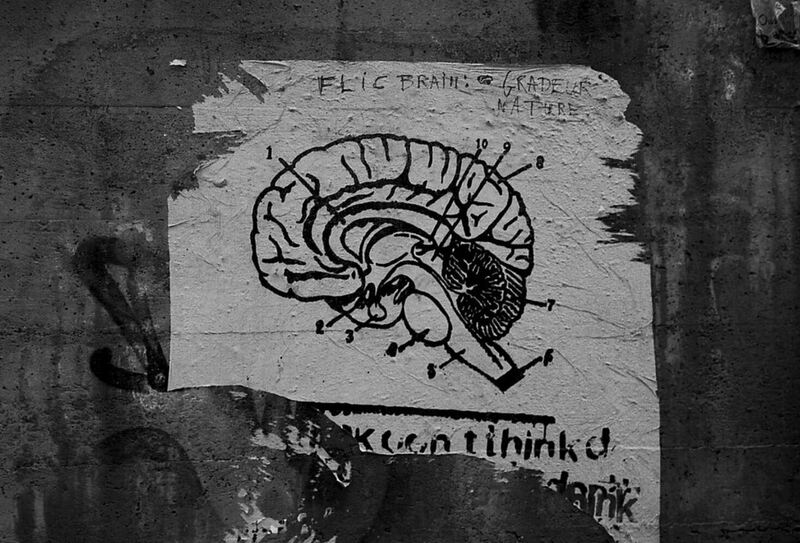 It’s easy to forget that activists fighting to eliminate injustice struggle with mental and physical health, too. 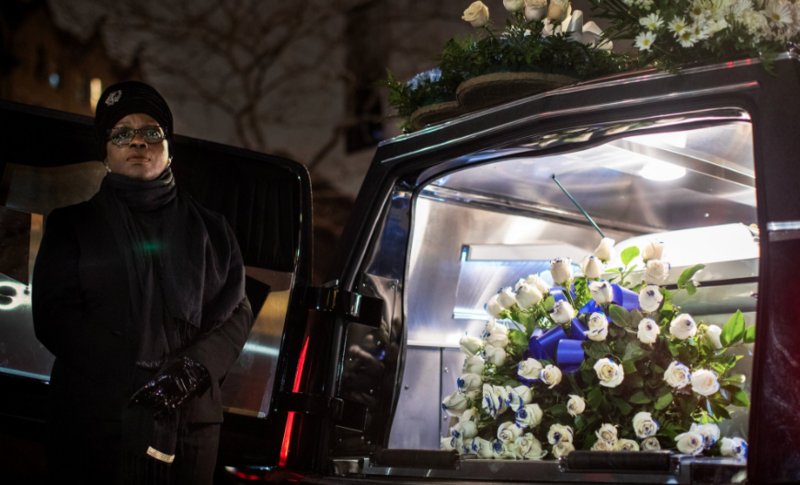 A story on those who push, protest, and privately suffer as a result; and the personal account of an environmental professor whose battle with cancer helped her cope emotionally with the reality of climate change. United States as energy exporter: Is it “fake news”? Economics has an Africa problem. From 2015, but still relevant. Is the way we think about overpopulation racist? Corporations do damage to poor women with their global philanthropy. Companies like to focus their corporate social responsibility work on girls because supporting women is, in theory, noncontroversial. But such charitable efforts actually harm girls and women in the Global South by depoliticizing their problems, which are inherently political. “They are our salvation”: the Sicilian town revived by refugees. With an ageing, fast-shrinking population, Sutera saw Italy’s migrant influx as an opportunity. Human rights are not enough. We must also embrace the fight against economic inequality. The tragedy of the commons. Common, a new housing startup, creates cities without qualities—but it will order your toilet paper. With the 8th of March being International Women’s Day, and Women’s History Month running through March in the US, UK and beyond, this month is a good time to turn the spotlight on women’s struggles and (often overlooked and undervalued) contributions to environmental justice. Stories of women’s resistance. Women are on the frontlines of climate change around the world: they make up 80% of people displaced by it, are more vulnerable in the aftermath of disasters, and disproportionately face other risks described in this overview from the BBC. But they are also active agents in fighting back against the climate crisis and other forms of environmental injustice. Finland’s reindeer-herding Sámi women, faced with a combination of weather changes and increased tree cutting that threatens their centuries-old tradition, fight climate change. Meet the “Polish Mothers at the Felling”: a grassroots group of mothers protesting intensified logging practices across Poland. In Nepal, women are running for office to protect traditional forests that belong to indigenous peoples and local communities, and they’re winning. The DRC mining industry is a prime example of how corporate power threatens women’s rights: this is why feminist activists are mobilising behind a proposed international treaty to regulate the impacts of transnational corporations. 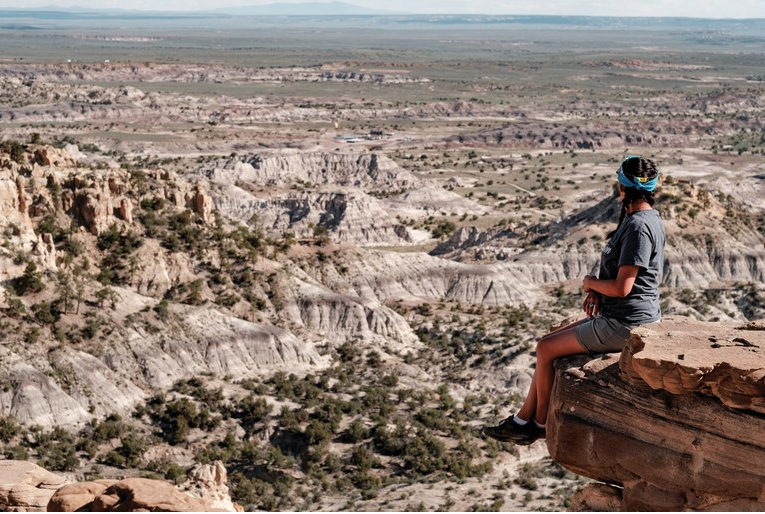 Indigenous activists of the Chaco movement – the most vital branch of which may be young, Native American women – try to quell a rising tide of oil and gas exploration in Chaco Canyon. 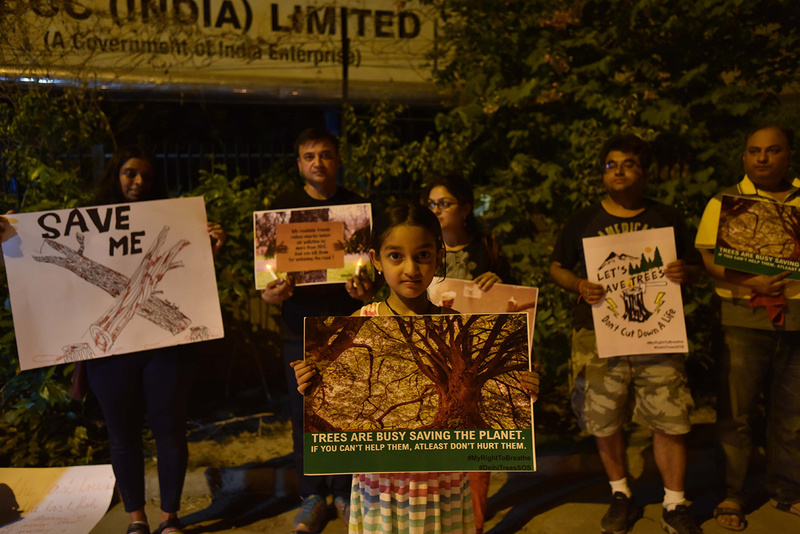 In India, women resist plantations that uproot them from their customary forests. On International Women’s Day, a petition initiated by women in West and Central African countries demanded that oil palm companies give back community land and end violence against women living in and around large-scale oil palm plantations; a struggle that women in Guatemala and Colombia and Indonesia face as well. Here is a women’s strike reader with socialist feminist highlights from the archives of Dissent Magazine, and a list of women activists from around the world taking up the fight for social justice. What does it mean to think ecologically? Culture shift: redirecting humanity’s path to a flourishing future. It’s time to build a new worldview with connectedness at its center. Thinking ecologically: a dialectical approach. In this essay Murray Bookchin warns against overly spiritual, reductive, and mechanistic approaches in ecological thought, injecting a political analysis into the discussion of what it means to think ecologically. In particular, he directs his ire against various strains of new age environmentalism as well as systems thinking. 10 years ago, the first international degrowth conference was held in Paris. To celebrate, Federico Demaria writes about the rise – and future – of the degrowth movement. From 2017, a history of the Limits to Growth thesis and the World3 model, which was ridiculed in the 80s but turned out to be correct. Another worthy read on the ENTITLE Blog by Emmanuele Leonardi, where he puts the degrowth vs. accelerationism debate in context of the question of value. Beyond growth or beyond capitalism? A critique of Herman Daly’s steady-state economics, which cannot imagine a world beyond capitalism. Better technology isn’t the solution to ecological collapse. We need to ditch our addiction to GDP growth. In 2015, Anthony Galluzzo wrote a series of articles analyzing the literature of Promethean modernism—worth giving them a read. A tale of two Prometheuses in many parts: Part 1, 2, and 3. Meanwhile, there’s been a slew of stories about the impacts of modernity on rural areas, our cities, and nature. Agriculture wars. A tale of the industrialization of rural America and country music as resistance. Urban development in India: chasing the global at a cost to the local? Apocalypse soon. The science fiction of this century is one in which great existential threats are known: they are real, and terrible. 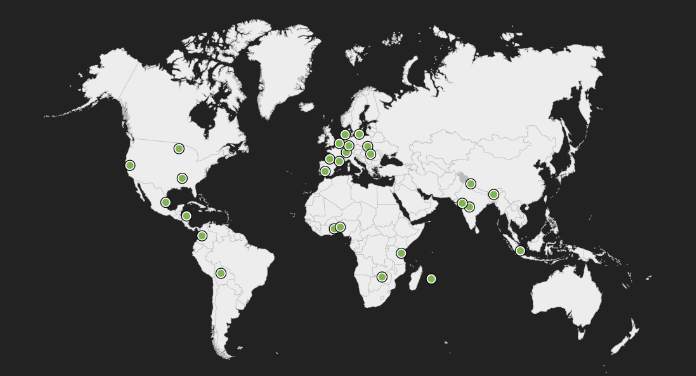 An atlas of real utopias. Introducing the Atlas of Utopias, which highlights 32 stories of radical transformation that prove that another world is not only possible in the future, but already exists. Sufficiency: Moving beyond the gospel of eco-efficiency, a report by Friends of the Earth Europe. 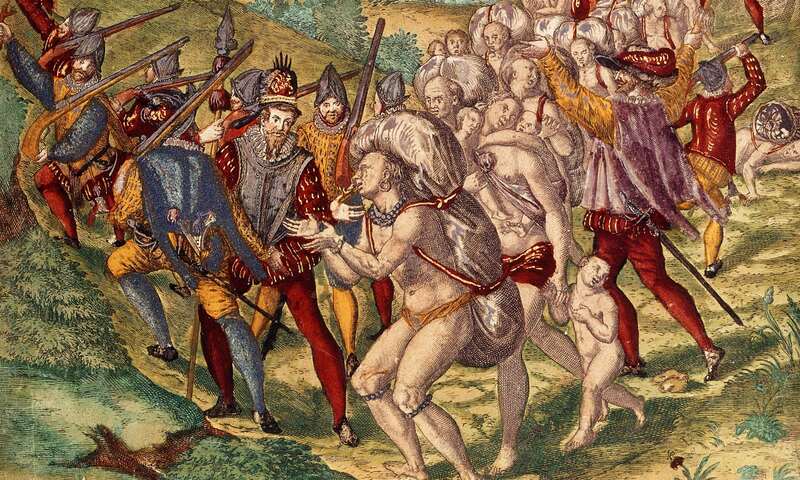 The Myths of Conquest series, debunking the myths of European colonization of the New World. These newsletters are put together by Anna Biren (@acathbrn), Rut Elliot Blomqvist (@RutElliotB), and Aaron Vansintjan (@a_vansi). James Cameron’s blockbuster Avatar (2009), to which four sequels have been announced, was generally praised for its cutting-edge special effects yet criticized for the simplistic narrative by both film reviewers and scholars. Sukhdev Sandhu, reviewer for The Telegraph, puts it effectively when he writes, “It’s an achievement to make 3D look as good as it does here, but that counts for little if the characters are all in 1D. 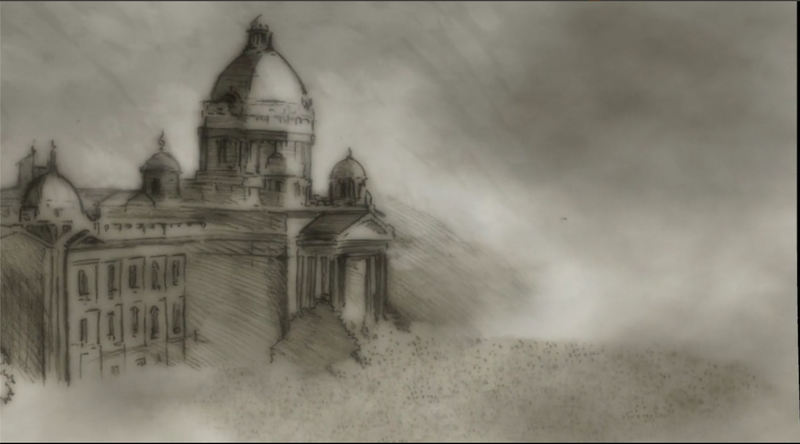 The film is a triumph of effects over affect” (Dec 2009). It is a rather formulaic take on the histories of western colonialism and environmental destruction. The alien Na’vi on planet Pandora are meant to mimic the pre-industrial Native Americans, who worship the Goddess Eywa and live in harmony with their environment until the mechanized human colonizers arrive to extract “unobtanium” and obliterate everything in their way. The main protagonist Jake Sully joins the Na’vi and forms a romantic bond with the native princess Neytiri, and ultimately discards his paraplegic, ex-Marine, white body to become a non-white, feminine-coded, abled, environmentally attuned Na’vi body. The scenario rehearses two of the most powerful American frontier myths: the Pocahontas and Mohican stories, adapting them to the 21st century where they no longer function only “as an exercise in romantic regret, but to expiate guilt over the genocidal nation building” (Howe 2016, 125). The seeming postcolonialism and ecofeminism of Avatar can be read as a symptom of white guilt: one that reinforces the ultimate stereotype of a heroic white warrior leading through the justified violence the oppressed to freedom, which remains very problematic in terms of race, gender, ability, and the idealized version of nature. The film remains a worthwhile cultural phenomenon to examine for its particular staging of post/modernity that underlies environmentalist politics. Considering these controversial assumptions of the narrative, the massive box office success and the widespread fascination with the film’s CGI effects, as well as the announced four sequels in the upcoming years, is it worth revisiting Avatar and with what aim? I wish to suggest yes; the film remains a worthwhile cultural phenomenon to examine for its particular staging of post/modernity that underlies environmentalist politics. This has so far generated an interesting scholarly discussion to which I would like to contribute in this essay. Bruno Latour, well known for his view that the European modernity in the 17th century installed what he calls the Great Divide(s)–between nature and culture, self and other, human and nonhuman–surprisingly reads the film in a rather positive way (Latour 2010), although we could argue that Avatar continues to enact precisely these divides. More recently, ecocritical scholar Timothy Morton has argued that the film gestures towards non-binary postmodernity, but it is unable to actually take us there (Morton 2014). That is, the environmentalist message that celebrates the pure, organic, pre-technological Nature on Pandora is undermined at the level of the film medium, which glaringly speaks to us through the luminescent screen images its reliance on the highly advanced digital technology. In this paper I wish to build further on these scholarly readings of Avatar and, following Morton, argue that the film does not seem to take its own propositions seriously enough. It not only unconsciously undermines its ideology through the level of the medium, but also on the level on the narrative itself. Through a close reading of a dialogue from the film I will show that, if taken seriously from a postcolonial anthropological lens, the dialogue signals a decolonization of the hierarchical divide between western sciences and Indigenous knowledges, which the film overall remains unable to articulate. For Latour, Avatar “is the first popular description of what happens when modernist humans meet Gaia. And it’s not pretty” (Latour 2010, 471). As he argues, since the 17th century nature has been understood as no longer spirited and actively interfering with human affairs, but in terms of passive objects to be demystified through scientific knowledge. All those living on the wrong side of the epistemological divide were considered irrational because they believed in a world animated by all sorts of entities rather than reducing materiality to the cause and effect relations. A model of mechanism was posited as a paradigmatic model, within which the Christian God was reinterpreted as a clock maker who had created the world and then left it to unfold by itself according to mechanical laws. (Carolyn Merchant in The Death Of Nature (1980) explicated this scientific model in detail, and showed has it was entangled with the histories of patriarchal colonialism and capitalism.) For Latour, this model can no longer be upheld (if it ever was) as it becomes ever more visible in the current age of climate change that nonhuman materiality has agency and that effects exceed their causes. Both humans and nonhumans are actants, and their agencies are much more evenly distributed, which means that we need to consider “the tricky question of animism anew” without the usual scorn that has been poured onto the concept: “Consider Lovelock, for instance, with his ‘absurd idea’ of the Earth as a quasi organism – or the Na’vis with their ‘prescientific’ connections to Eywa” (Latour, 2010, 481). Latour aligns James Lovelock’s Gaia theory of the Earth as a living super-organism, which in the past was criticized for being unscientific by the scientific community, and the animist beliefs of non-western Indigenous peoples as they are staged in Avatar. He suggests that both should be taken much more seriously by us “moderns”. In fact, in recent decades Lovelock’s theory has been revalued considerably in the environmentalist movement, while the indigenous models of sustainability have been increasingly explored in anthropological scholarship. Instead of constantly policing the epistemological border of what proper science and what pseudo or non-science is, it is necessary to look carefully into how well a certain model is assembled, how efficient of a “handle” to stage nature it is (Latour 2010, 483). The film’s gesturing towards postmodernity crucially entails a gesturing towards decolonizing epistemology. Grace: Those trees were sacred to the Omaticaya in a way you can’t imagine. Parker: You know what? You throw a stick in the air around here it falls on some sacred fern, for Christ’s sake! Grace: I’m not talking about pagan voodoo here – I’m talking about something real and measurable in the biology of the forest. Parker: Which is what exactly? Grace: What we think we know is that there’s some kind of electrochemical communication between the roots of the trees. Like the synapses between neurons. Each tree has ten to the fourth connections to the trees around it, and there are ten to the twelfth trees on Pandora. Parker: That’s a lot, I’m guessing. Grace: That’s more connections than the human brain. You get it? It’s a network – a global network. And the Na’vi can access it – they can upload and download data – memories – at sites like the one you just destroyed. What is at stake is not to rebrand non-western knowledges as scientific, but rather to make us think how and what discourses and practices, and not others, get to be authorized and legitimized as scientific in the first place. The animist Na’vi view that trees are imbued with the spirit of Eywa is presented crucially as compatible with, and not opposed to, the biological and neurological constructions of synapses and neurons in living organisms. 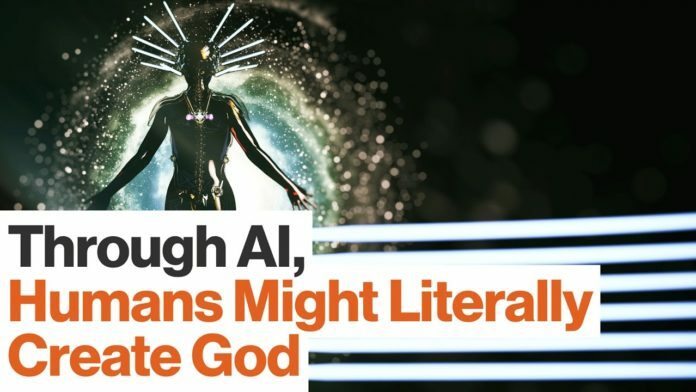 One way to understand Eywa is in terms of Gaia, or as Clarke suggests, in the neocybernetic terms of “a self-referential cognitive system producing self-maintaining regulatory dynamics without having to assume the agency or anima of a conscious system” (Clarke 2014, 162). This does not mean, however, that Grace’s aim is to simply translate the spiritual belief into the scientific idiom in order to legitimize it. Importantly, she respects both the animist and neurological worldviews, unlike Parker for whom the translation between the two is needed. Grace’s perspective encourages us to think how both models, each on its own terms, successfully stage materiality, and though for Clarke this “conveys the perennial Western muddle between science and spirituality, physics and metaphysics, energy and anima” (Ibid, 170), I suggest that it also gestures towards a decolonisation of knowledge. In the above quote the borders that police the temporality–primitive vs. modern–as well as seriousness–superstition vs. truth–of the two ways of knowing are put in question. Why would we not think of shamanic practices as scientific, or of the concept of the neuron as animist? What is at stake is not to rebrand non-western knowledges as scientific, but rather to make us think how and what discourses and practices, and not others, get to be authorized and legitimized as scientific in the first place. “Muddling” this border would mean to inhabit epistemologically the space which Gloria Anzaldúa terms “borderlands”, an undetermined and vague state created through the deconstruction of a historically enforced border (Anzaldua 1987, 3). 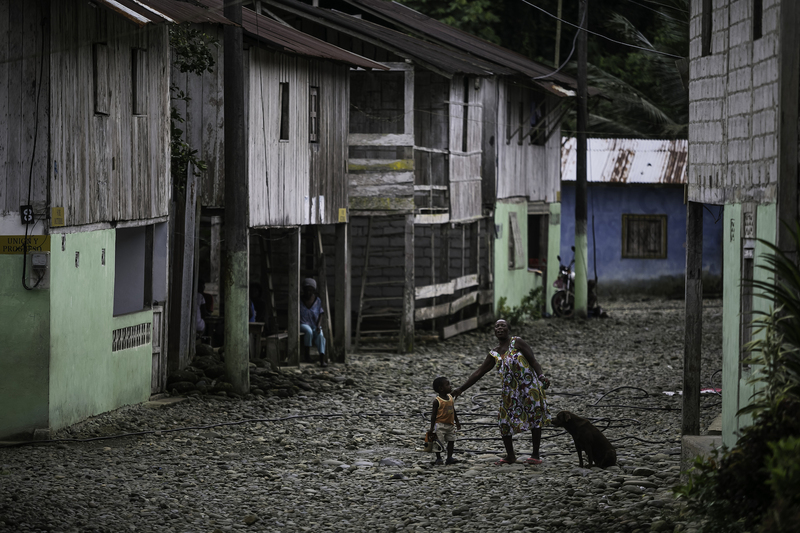 Recent postcolonial anthropological research in the Amazon region can take us further into decolonial directions. Jeremy Narby publishes in popular rather than academic media, but some of his insights can precisely shed more light on the quote above. (In comparison, Eduardo Kohn’s research of the Amazon in How Forests Think (2013) is more rigoruosly academic, but his conclusion to understand the Amazon forest spirits as semiotic actors resonates strongly with Narby’s view.) Based on his research with both Ashaninca shamans and biologists, he argues for a striking compatibility between the shamans’ and the biologists’ understanding of life. Intriguingly, he suggests that what the Amazonian shamans see in their hallucinogenic visions induced by plant brews, which is the images of giant fluorescent serpents, corresponds to what biologists see as the double helix structure of DNA through their instruments. A he puts it: “My hypothesis suggests that what scientists call DNA corresponds to the animate essences that shamans say communicate with them and animate all life forms” (Narby 1999, 132). As in Avatar, the spirits in the Amazon forest correspond to the scientific model of reality; the hallucinogenic plants are an equally good method to approach nature as the scientific instruments; and the shamans use their vision-induced knowledge to heal people same as the medical doctors use the knowledge of molecular biology. In the film, both the scientific and spiritual forms of knowledge are imagined to not only theorize life, but also construct it successfully on a practical level. While the human scientists use advanced biotechnology to construct avatar bodies, which are then operated through a psionic link with the genetically matching human minds, the Na’vi at the end of the film transport the mind of a human completely into his avatar body by using shamanic techniques. Such staging makes it hard to delineate science from non-science, or indeed faith from science, in the way that Narby argues: “…it is of utmost importance to respect the faith of others, no matter how strange, whether it is shamans who believe plants communicate or biologists who believe nature is inanimate” (Narby 1999, 145). Whether or not we subscribe to Narby’s conclusion that the visions of serpents and the DNA double helix correspond on the ontological level, what his approach foregrounds is that both shamans’ and biologists’ models of life are equally efficient handles to stage nature, and therefore should be equally respected. Traditional ecological knowledge is based on collaboration rather than appropriation, spiritual interconnectedness rather than a taxonomic set of categories and facts. Equal respect towards western and non-western epistemologies would mean to speak of what Grace Dillon terms “indigenous scientific literacies” (Dillon 2007), as the ways in which indigenous sustainable practices constitute indeed a Native science despite the lack of resemblance to taxonomic western knowledges. 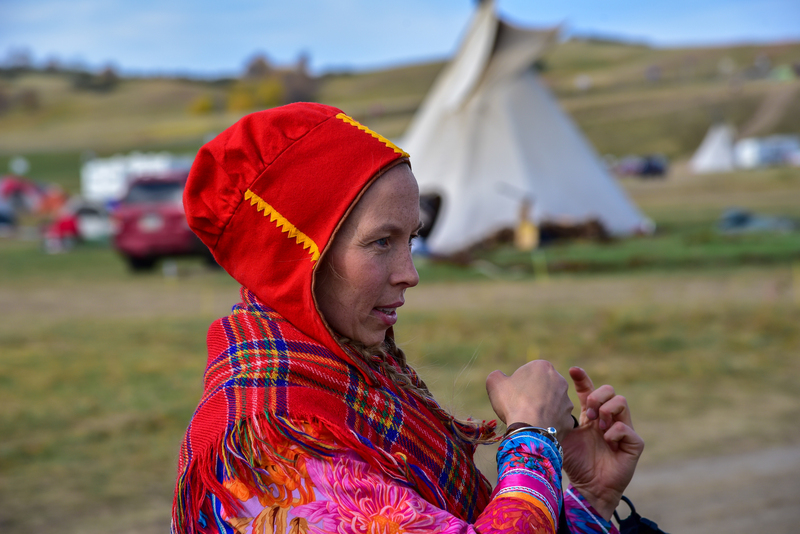 As she writes, traditional ecological knowledge is based on collaboration rather than appropriation, spiritual interconnectedness rather than a taxonomic set of categories and facts. In the contemporary context of climate change, indigenous scientific literacies seem to be finally “discovered” widely by the mainstream science, and Dillon sees precisely the mode of science fiction as a space in which this already has been, and can be productively engaged and developed further (Dillon 2016). Within this framework, Avatar both speaks and fails to speak of the indigenous scientific literacies. It gestures towards such understanding, yet overall it fails to engage this potential explicitly: it gestures towards postmodernity while not being able to extricate itself from the modernist divides. In Morton’s reading, the celebration of pre-technological Nature is unconsciously undermined at the level of the vibrant, computer-generated screen imagery: “The very attempt to force viewers to accept an ecological view of interconnectedness results in pushing humans to accept the proximity of a more-than-human-world of uncanny strangers” (Morton 2014, 221). Morton’s uncanny strangers are the glowing, weird creatures and the immersive environment on the screen, which cannot but not reveal the technology that made them possible. But if this is so, these luminescent uncanny strangers also unconsciously reveal to us and embody the hallucinatory method that shamans use to communicate with and gain knowledge from their plant teachers. As we, the film’s audience, immerse ourselves in the astonishing living world of the screen, are we not “hallucinating” about ecological knowledge? I suggest that the gesture towards postmodernity that Morton detects in the film crucially entails a gesture towards decolonising epistemologies, yet this move fails to be articulated explicitly. What the announced sequels make of decolonising the epistemological borders is to be seen, but so far the historical understanding of post/modernity in Avatar has generated an important scholarly discussion to which this essay contributes. Anzaldúa, Gloria. 1987. Borderlands: La Frontera, The New Mestiza. San Francisco: Aunt Lute Book Company. Avatar. 2009. Directed by James Cameron. Los Angeles: Lightstorm Entertainment. Clarke, Bruce. 2014. Neocybernetics and Narrative. Minneapolis: University of Minnesota Press. Dillon, Grace L. 2007. “Indigenous Scientific Literacies in Nalo Hopkinson’s Ceremonial Worlds.” Journal of the Fantastic in the Arts, Vol. 18, No. 1 (69): 23-41. Dillon, Grace L. 2016. “Introduction: Indigenous Futurisms, Bimaashi Biidaas Mose, Flying and Walking towards You.” Extrapolation, Vol. 57, Issue 1-2: 1-6. Howe, Andrew. 2016. “The Post-9/11 Mohican: Avatar and the Transformation of the ‘Manifest Apology’.” In The New Western: Critical Essays on the Genre since 9/11, edited by Scott F. Sttodart, 116-136. Jefferson, North Carolina: McFarland & Company, Inc.
Klassen, Chris. 2013. “Becoming the ‘Noble Savage’: Nature Religion and the ‘Other’ in Avatar.“ In Avatar and Nature Spirituality, edited by Bron Taylor, 143-160. Waterloo, Canada: Wilfrid Laurier University Press. Latour, Bruno. 2010. “An Attempt at a ‘Compositionist Manifesto’.” New Literary History, Vol. 41, No. 3: 471-490. Latour, Bruno. 2004. Politics of Nature: How To Bring the Sciences into Democracy. Cambridge, MA: Harvard University Press. Merchant, Carolyn. 1980. 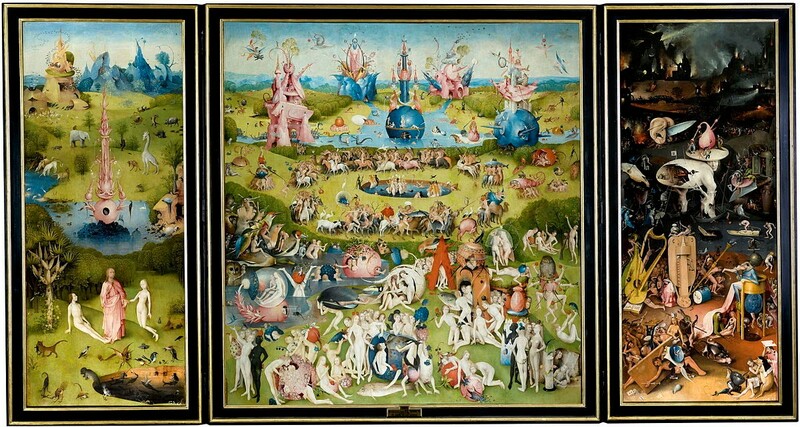 The Death of Nature: Women, Ecology and the Scientific Revolution. San Francisco: Harper & Row. Morton, Timothy. 2014. “Avatar, Ecology, Thought.” In Green Planets: Ecology and Science Fiction, edited by Gerry Canavan and Kim Stanley Robinson, 206-225. Middletown: Wesleyan University Press. Narby, Jeremy. 1999. 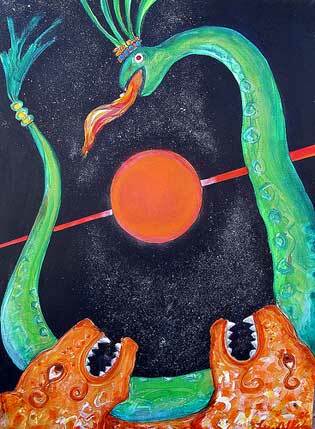 The Cosmic Serpent: DNA and the Origins of Knowledge. New York: Jeremy P. Tarcher/Putnam. Narby, Jeremy. 2005. Intelligence in Nature: an Inquiry into Knowledge. New York: The Penguin Group. Sandhu, Sukhdev. 2009. “Avatar, full review.” The Telegraph. Fani Cettl holds a PhD in Gender Studies from the Central European University in Budapest. Her fields of interest are science fiction, Gothic fiction, science and literature, biopolitical theory and posthumanism. After eight months, starting with a few hundred young Native Americans and swelling to up to 15,000 people in the sprawling encampments of Standing Rock, North Dakota, a victory was celebrated. President Obama’s US Army Corps of Engineers denied the request for an easement to allow Energy Transfer Partners (ETP)* and their “family” of logistics corporations to build the Dakota Access Pipeline (DAPL) under Lake Oahe and the Missouri River, which that could threaten the water supply and sacred burial sites of the Standing Rock Sioux. The Army Corps of Engineers further required a full Environmental Impact Statement (EIS), which usually takes months and sometimes years, to reconsider granting the easement. DAPL is a $3.7 billion project that would link 1,200 miles of pipeline carrying over 500,000 barrels of crude oil every day from North Dakota through the mid-west and eventually to the east coast and south of the US. The sunny and wind-swept prairie of Standing Rock reveals the absurdity of building fossil fuel infrastructure that will further harm the planet when renewable energy is everywhere, waiting to be developed. The December 4th decision came immediately after 2,500 US military veterans joined the “water protectors”, as they are called, at Standing Rock. The vets formed a human shield protecting the water protectors from the myriad local law enforcement officers who work on behalf of the interests of the private oil and gas industries. Several of the vets said that, after serving in Iraq and Afghanistan, their effort to protect Standing Rock was the first time they actually felt they were protecting the American people. After almost 500 years of white settlers and the US government stealing land from Native American tribes and forging divisions between them, over 200 Native tribes have coalesced to protect Standing Rock. The history of government-sanctioned genocide and colonialism are recurring themes in this struggle. The main “road” in the encampment is Flag Row, a long dirt path lined with hundreds of colorful tribal flags from all over the Americas, signaling unity. 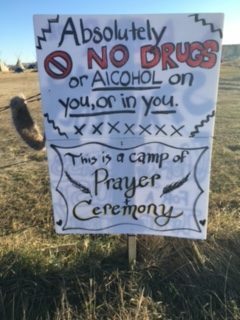 Strict rules of decorum prevail—no drugs, alcohol, or weapons of any kinds, total non-violence, respect for decision-making by the tribal council and for elders, and dedicating the encampment to non-violent prayer. Their slogan is “Water is Life”. Thousands of Indigenous peoples from all over the world and tens of thousands of non-Indigenous peoples have come to Standing Rock to defend Indigenous rights and to protect Mother Earth. They want to kill the “black snake”: DAPL. There lie the seeds of unity and dissent. 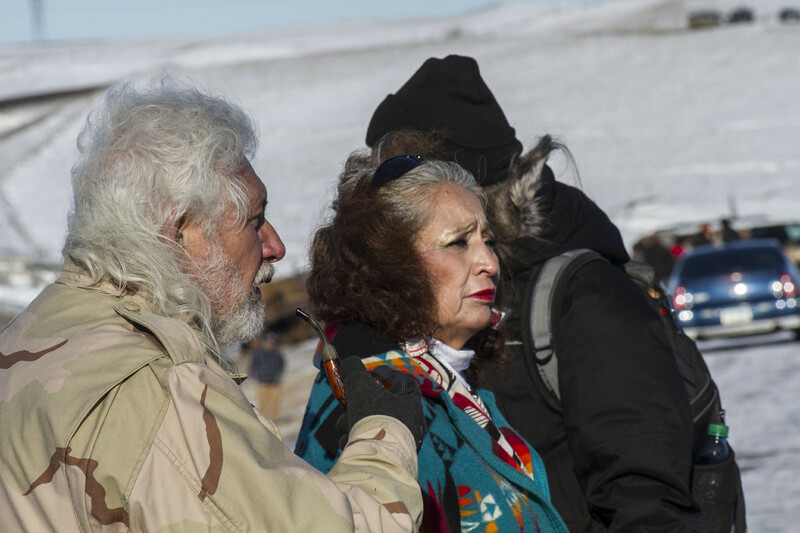 Indigenous activists such as Tara Houska, Anishinaabe lawyer for Honor the Earth and Tom Goldtooth, Navajo leader of the Indigenous Environmental Network, see fighting the pipeline as more than defending the tribes; they see it as defending Mother Earth. They see fossil fuel infrastructure as dangerous to the future of humans on earth. They want to see the development of renewable energy and the end of fossil fuels. Dave Archambault, II, Chairman of the Standing Rock Sioux tribe and primary spokesperson for the coalition of tribes, will be satisfied if the pipeline is re-routed away from the Sioux orbit. He has told the water protectors camping on the grounds to go home to their families for the winter: their jobs are done. He has repeatedly stated that he is not opposed to infrastructure projects or to “energy independence” but rather is opposed when Indigenous peoples are not consulted and when the pipelines go through their lands and waters. Native Americans, many of whom are desperately poor and denied opportunities, have sold mineral rights to their parcels of land to fossil fuel developers. This is a basic contradiction for Indigenous peoples: those who see Mother Earth as their responsibility to protect for the next seven generations (a common saying for some Indigenous groups), versus those who want to address their own poverty which seems much more immediate. This is a global phenomenon. Months of battles with brutal local law enforcement have left hundreds of water protectors facing arrests, rubber bullets, tear gas, concussion grenades, water cannons used in sub-freezing temperatures, serious injuries and brutal treatment when incarcerated. Images of this police brutality against Indigenous peoples and their supporters have galvanized support for the protests and brought thousands of people to the 5-6 camps that make up the sprawling Standing Rock encampment. Tribal elders often look askance at many of the “unofficial” actions advanced by the “Red Warrior Camp” and their allies because they have drawn so much violence against them. Nonetheless, the tribal leaders decry the violence and partisan nature of the “law enforcement’s” savage response. Red Warriors see these direct action confrontations as the reason that Standing Rock has gotten any publicity at all and has attracted the attention and won the hearts of radicals and human rights advocates across the world. 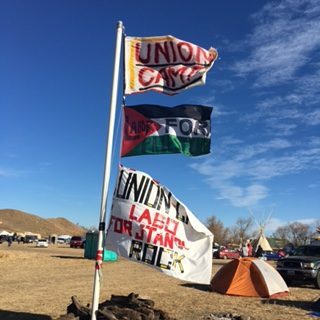 Standing Rock has developed massive camps, replete with many cooking tents each serving hundreds at every meal, large-scale donation operations, legal, medical, and psychological counseling services, schools, orientation sessions, and direct action trainings. Each morning and evening people gather around sacred fires and hear information, speeches, and music, and they dance and feel the power of unity. They are creating a liberated space, a space where progressive people can come together to protect their ideas and their cultures together. The utopian feel of the place is immediately apparent. 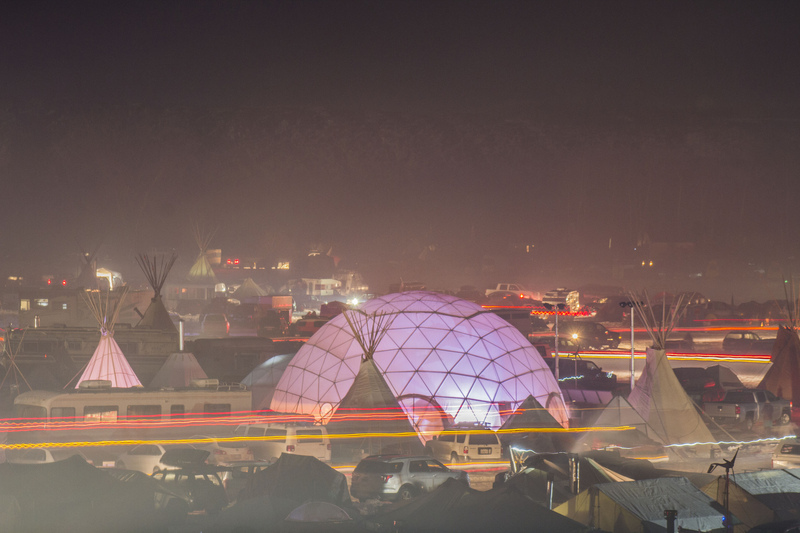 Comparisons with Occupy Wall Street and its spin-offs would reveal a much larger, more on-going, and much more disciplined space in Standing Rock. It has captured the imagination and support of hundreds of thousands of people across the planet, from the Indigenous Sami peoples of Norway to workers from all over the US who are angry at the lack of support from organized labor, specifically the AFL-CIO. The presence of youth is immediately noticeable at the camps though there are plenty of elders and children as well. Supporters mostly camp out and help to winterize the teepee, yurts, army tents, recreational vehicles, camping tents, vans and school buses that create a small city of protest. They are creating a liberated space, a space where progressive people can come together to protect their ideas and their cultures together. The utopian feel of the place is immediately apparent. The pull of such a liberated space is all the more meaningful in the face of US President-elect, Donald Trump. The encampment is simultaneously a historic throwback and a futuristic village of care and commitment to a more egalitarian and caring world. The parallels with Occupy Wall Street are many—both aiming to build a new way with progressive and humanistic values, addressing the oppression of our people. Both captured the hearts of progressive folks and engaged mostly young people but Standing Rock’s supporters include many more people of color of all backgrounds. The history of Indigenous tribes welcoming people of African descent, especially during slavery, is not forgotten in this solidarity. Standing Rock’s success is grounded in Indigenous cultural values of respect, formal representative decision-making, discipline, and work that is further expressed through a deep spirituality that connects our human activity to the earth. Standing Rock is orderly and behavioral norms are clearly articulated and encouraged, if not enforced. Naomi Klein, in her groundbreaking book, This Changes Everything, asserts that the climate movement can only be successful if it addresses racial, gender, and economic oppression as its main strategy and if it takes leadership from those most affected by climate change and the savages of capitalism. Without so much explicit language this is evidently what is happening at Standing Rock. The power of this strategy impacts everyone who enters the camp and the movement; the pull of this approach is enormous. On December 4 and 5, over 15,000 people celebrated the Army Corps of Engineers decision to deny the permit to complete DAPL as planned, but the struggle is nowhere near over. Several factors make for a complex web of possibilities that underscore the necessity of the encampment and wide support to continue. First, Trump can overturn Obama’s US Army Corps of Engineers’ decision and force them to grant an easement to ETP. That will be challenged in court as the US Ninth Circuit Court of Appeals has ruled that federal agencies cannot change a settled ruling of a federal agency that is based on facts when a new administration takes over. The US Supreme Court declined to take up this ruling, leaving the Ninth Circuit decision to prevail. If Trump tried to get the permit without an environmental impact statement he would have an immediate lawsuit on his hands that would prevent the easement from taking effect, at least immediately. Additionally, Trump’s reported investments in DAPL of $500,000 to $1 million may create a conflict of interest he cannot navigate. Other lawsuits against ETP are already in the courts and proceeding, further slowing down the process. Further, Trump has talked about privatizing over 56 million acres of Native American reservations in order to facilitate exploitation of the natural resources of those lands. According to the Indigenous Environmental Network, Indigenous reservations cover 2% of US land but contain an estimate 20% of its oil and gas plus vast coal reserves as well. That fight will ignite much more organizing and fight back. Second, and perhaps most important, are the specifics of the contracts between ETP and Sunoco Logistics, their partner organization in this project, and the dozens of major financial institutions that have invested in DAPL. These contracts can be negated and/or open to re-negotiation if the pipeline is not completed by January 1, 2017. At that point the financial institutions will have the legal right to back out of or diminish their investments. There are dozens, perhaps hundreds, of groups in the US that are pressuring these very financial institutions to drop their investments in DAPL. Many of the pension funds of public workers and others are invested in these financial institutions and supporters are mounting campaigns to uncover them and demand divestment. Supporters have been cutting up their credit cards and closing their accounts from banks investing in DAPL. The Sightline Institute did a study of DAPL financing and found them to be “rickety”. They found that the value of crude oil has declined by about 50% since these contracts were signed, making the windfall profits from this venture much less likely. They found a sharp decline in oil production that may signal no further need for the pipeline. For some of the investors, DAPL is looking risky on many levels. Third, ETP has a way to sneak out of the job as well. Their contract indicates that they are not liable for project completion if “rioting” takes place. 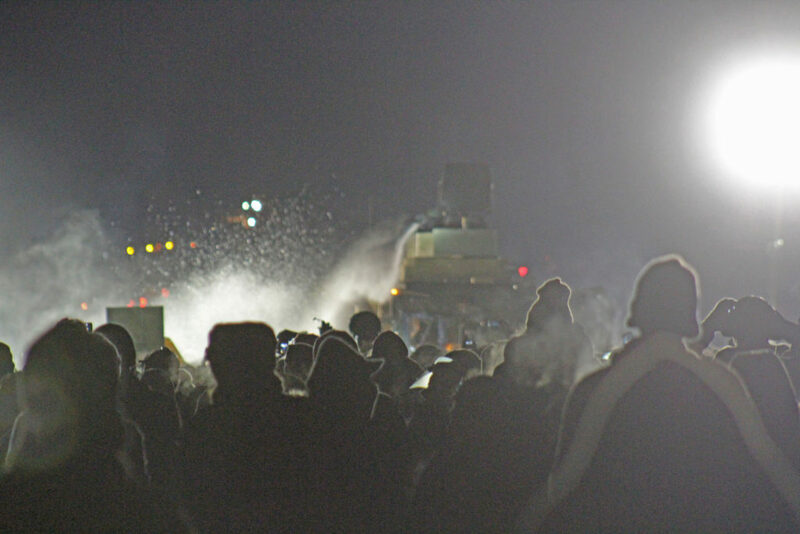 ETP along with their allies in local North Dakota law enforcement have been calling the direct action by water protectors “rioting”, setting the stage for a possible exit from liability. The demonstrators have been peaceful if sometimes provocative and a great deal of video evidence indicates that the violence has emanated from the law enforcement officers, not the protesters. But “rioting” is the language ETP and the cops use, and for a specific purpose. Fourth, the popular support for Standing Rock seems to grow with each day and each report of violence against the water protectors. There are similar challenges of fossil fuel pipelines in many parts of the US and they are gathering people to protest in those places as well. The model of encampments, of creating liberated spaces that protect the activists, land, water, and movement, has taken hold. No force will hold that back. From the AIM Spectra Pipeline, slated to go under the Hudson River and immediately past the Indian Point Nuclear Power Station 10 miles from New York City, to the Black Mesa Water Coalition of the US southwest, the struggles to reject fossil fuel infrastructure and to build a sustainable energy economy are everywhere in the US as they are across the planet. A new solidarity is emerging. A new world is conceived. Its home is everywhere, its people are many. A new solidarity is emerging. One that has a great deal of potential to unite the left under the joint banners of the oppression of people, particularly people of color, and the oppression of the earth itself. The hope lies in navigating that unity with a vision of solving both oppressions simultaneously. A new world is conceived. Its home is everywhere, its people are many. While its opponents are on the ascent, the struggle continues. Compassion, respect, clear demands and decision-making and solidarity can guide the way. Nancy Romer is a life-long social justice activist starting in the tenants rights movement, then the feminist, anti-war, anti-racist, anti-imperialist, union, food justice and, now, climate justice movements. Nancy is Professor Emerita of Psychology at Brooklyn College and now writes primarily on climate movement-related efforts, with particular interest in agriculture and peasant movements in Latin America. 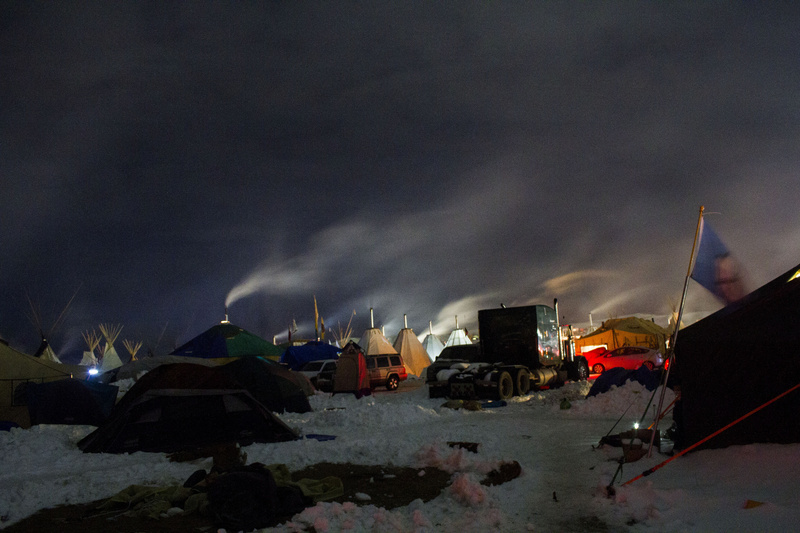 In this report, I will try to give you a sense of what being at Standing Rock is like. Tonight completes my third day here. The weather has been mostly cold but very sunny. The colors, the sky, but most of all the people are startlingly calm and beautiful. The Standing Rock encampment is defined as a prayer site, a place to contemplate and to appreciate nature, “the creator” (not my words), and each other. The Indigenous people here from just about every tribe in the US and some from Canada are so welcoming and warm to outsiders. They repeatedly say how much they appreciate the presence of non-Indigenous folks and how they want to share with us. They are strict on the rules: no violence of any kind, no drugs, alcohol or guns, respect for Indigenous ways, making oneself useful. 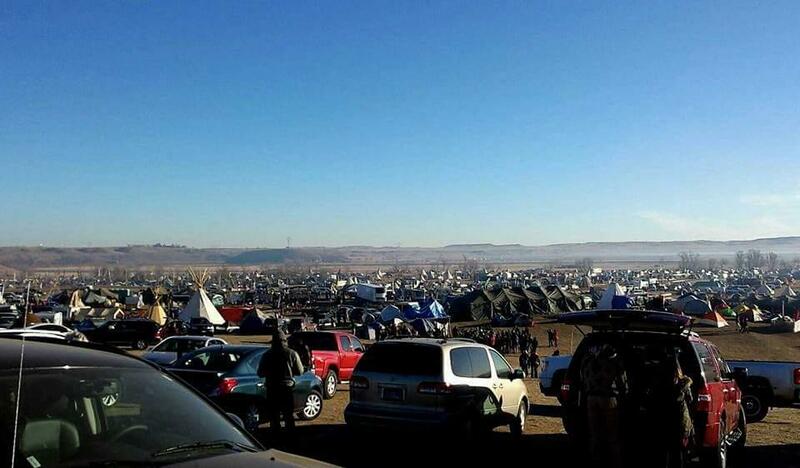 The vast encampment contains 4 or 5 separate but connected camps, some on the Sioux reservation land, others outside.The largest one is immediately off reservation land, Oceti Sakowin Camp; it is the one in which most of the activities happen. The others are either defined by age—elders or youth—or vary by activity. We spend most of our time at Oceti but today I took a long walk and visited two of the other camps just to get a flavor of them. NO DAPL stands for No Dakota Access Pipeline and signs with the slogan are everywhere as is “water is life”. There is a religious feel to the camps and great respect all around. In many ways this is a very old-style Indigenous encampment and in many ways it feels like a post-revolutionary or post-apocalyptic future. The pace is slow though everyone seems to move with great purpose. People jump in and do the tasks that seem to be needed: cooking, cleaning, helping each other to put up a yurt or a teepee, chopping wood, tending fires, washing dishes, offering legal, medical or psychological help. Cell and internet service is miserable and probably interfered with by the constant drones that fly above the camps. For me the most impactful point was respect. They defined that as including slowing down, moving differently with clearer intention and less reactivity. On Friday I attended a brilliantly presented orientation to the camp. One of the presenters was Maria Marasigan, a young woman who was active in the Brooklyn Food Coalition. It was the best anti-racist training for allies that I have witnessed: succinct, not guilt-trippy, and very direct. The three main rules are: Indigenous centered, build a new legacy, and be of use. They shared the Lakota values that prevail in the camp: prayer, respect, compassion, honesty, generosity, humility, wisdom. For me the most impactful point was respect. They defined that as including slowing down, moving differently with clearer intention and less reactivity. They suggest asking fewer questions and just looking and learning before our hands pop up and we ask to take up space. They clarified a gendered division of behavior and practice, including asking women to honor traditional norms of wearing skirts during the sacred rituals (including in the cooking tent) and for women “on their moons” to spend time in a tent to be taken care of and rest if they choose. Somehow it seemed okay, actually respectful, not about pollution and ostracism. While I was helping out in the cooking tent—my main area of contribution—an Indigenous woman came by with about 10 skirts and distributed them to the mostly women in the cooking tent and we gladly put them on. It served as an extra layer of warmth over my long underwear and jeans. It was not what I expected but it seemed fine to all of us. We just kept chopping away at the veggies. Later that day I attended a direct action training that was also quite thorough and clear. Lisa Fithian, an old friend from anti-war movement days, lead the training and explained how to behave in an action and how to minimize police violence. Lisa, along with two other strong, smart women, one Black and one Native, laid out a plan to do a mass pray-in in town the next day. My New York City travel companion and I both felt that we couldn’t risk arrest and decided not to join that direct action but to be in support in any way we could. At 8 am the next morning about 100 cars lined up in convoy formation at the exit of the Oceti Sakowin Camp, each with lots of passengers—including some buses and minivans—and went into Manwan, the nearest town. The Indigenous folks formed an inner circle and the non-Indigenous formed a circle around them. The Indigenous folks prayed, sand and danced. The tactic was exercising freedom to practice their religion while protesting the Dakota Access Pipe Line. No arrests were made despite massive police and drone presence. One local man tried to run over a water protector but she jumped aside; the man had a gun but was subdued by the cops. Lots of videos were taken and the man was brought to the local jail. On Saturday I finally got a press pass as I got a request to cover the encampment from New Politics, a print and online journal. That gave me the right to take photos (otherwise not allowed), but still limited—no photos of people without permission or of houses or horses, again without permission from the people with them. I set out to interview people at the various camps and to get a sense of what people were planning to do for the winter. At Rosebud camp just about a 1/2 mile from Oceti, I discovered a group of people building a straw-bale building that was destined to become a school. Multi took a break to tell me how they came to create this project with the full collaboration of parents and kids in the camp. Their project grew out of a team of people from Southern California who are builders and designers who use earth and straw as materials creating almost no carbon footprint and providing both strength of structure and extraordinary insulation—very important for a windy and cold winter ahead. Multi told me, “We didn’t want to bring the colonialist idea of what was needed and just tell people at the camp. We spent five days gathering ideas from people at the camp as to what they needed. They decided on building a school for the many kids who might stay the winter or come and go over time. The parents and kids helped to design the structure with the builders. All the decision-making was ‘horizontal’, engaging everyone with equal voice, avoiding hierarchy. It will be a one-room schoolhouse with nooks for specific tasks and will serve K-8th graders.” A teen center is being built nearby. Down the road I met Danielle who was helping to build a multi-purpose center housing a kitchen, dining area and meeting room. She told me that “This is all about the water and who lives downstream. We are testing a new economic system that requires governance, self-governance from the ground up. The needs must evolve for us to create a system that will fit them.” She is particularly excited about engaging people to serve and to be united, to be able to work together with their passions for service, to be happy together in this way. The materials for the building were donated by people from Ashville, NC and were deeply appreciated. All over the camps one sees evidence of creative problem-solving, cooperation and contributions brought from afar. The “donations” building is brimming with winter clothes (adults and kids), foods of all kinds and practical items. I was particularly interested in the many families that were at the camps, including lots of kids of all ages, including infants. One family from Boulder, Colorado, with 8-year old Oscar and 11-year old Audrey, were unpacking their car when I came upon them. Their mother, Susan, said, “We are here to support the protest and to have our kids learn from it. I want my kids to understand that we do what we can to take care of the water and support the Indigenous people. To step it up these days we have to hold some ground. This is one of the places we can meet. It would be great if Obama would release the land and kill the pipeline.” Amen. I encountered a father-son pair from Manhattan. Fourteen-year old Declan Rexer learned about the encampment from a single segment on MSNBC news but couldn’t find anything else about it in the corporate media. He was particularly upset by the police attacks on elderly protesters. He then went to alternative and social media and found an enormous amount of information. His interest grew and his father, William Rexer, decided to bring him out to North Dakota to learn for himself. They plan to bring back lots of information for Declan’s classmates and encourage more people to come out to see for themselves. William, a media professional himself, connected with some of the young documentarians at the camp and will provide some material support to them in order to advance their work. I spoke with Joseph, a Salish man from Montana. I asked him how long he was planning to stay at the camp. He told me, “I’ve been here from the beginning and I will stay to the end. All winter if that’s what it takes. We have been colonized and divided for 500 years. This is our time to unite and resist. We must protect our water and our tribes.” He thanked me for coming to Standing Rock and being an ally. He asked me to tell my friends to come out and join the encampment, to be water protectors. I am moving slowly and deliberately and thinking about the world we need to build together, on a much larger scale. While I attend trainings and sacred fire circles, chop veggies, talk with people, drive people around, and walk around the various camps, I am struck by how happy I feel. Sure, this is temporary. Sure, this is not my “real world”. But it is a lovely world, a loving world, a kind world, where each person is greeted with kindness. Young men and women ride through the camps on horseback, connect to ancient traditions, and bask in the glory of a shared culture of resistance. I don’t come from this culture but I do support their determination, their right to protect their land and water and people, their valiant attempt to build a better world. I am moving slowly and deliberately and thinking about the world we need to build together, on a much larger scale. Can we decide to be kind to each other, to collaborate, to try to remove ego from our day-to-day practice? I don’t know the answer to these difficult questions. But I do know that when people share a common struggle we can be beautiful. 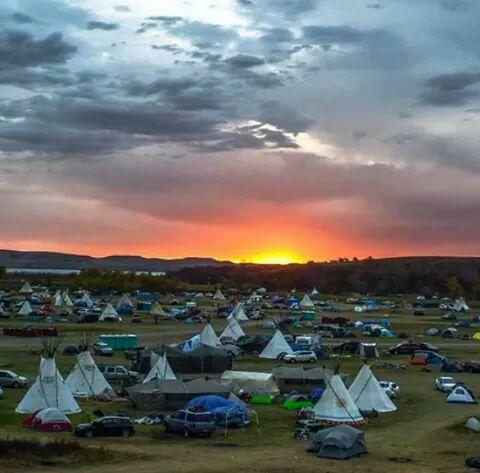 I bask in that beauty at Standing Rock. Nancy Romer is a life-long social justice activist starting in the tenants rights movement, then the feminist, anti-war, anti-racist, anti-imperialist, union, food justice and, now, climate justice movements. Nancy is Professor Emerita of Psychology at Brooklyn College and now writes primarily on climate movement-related efforts, with a particular interest in agriculture and peasant movements in Latin America. Read their first report on life at the camp here. The European core nations have colonised the world. This system is not only based on the unequal exchange of land and labour—as the anthropologist Alf Hornborg has shown in Global Ecology and Unequal Exchange—it is also on the verge of making the planet uninhabitable. So the world must be decolonised. But what would it mean to decolonise Europe? How do we decolonise the core of the world system—the area of the world that gave birth to colonialism itself? In the north of Scandinavia, there is an Indigenous culture that has persisted against colonisation. The land is called Sápmi. The Sámi, like all Arctic Indigenous peoples, are experiencing the severe effects of rapid global warming and decolonisation is now more than ever a matter of survival. Sofia Jannok is a songwriter, yoiker (yoik is a traditional Sámi vocal style), and pop singer; activist, environmentalist thinker, and reindeer owner. Through her words, melodies, activism, and existence, Jannok pushes for decolonisation. The title of the last song on her latest album ORDA: This Is My Land is “Noaidi,” a Northern Sámi word that means shaman but that she also translates as “Decolonizer.” The noaidi drives out the colonisers and their mentality. 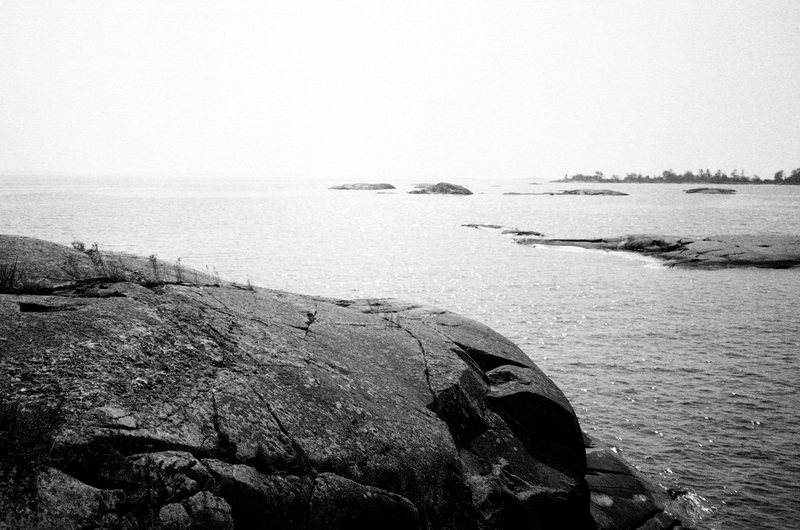 The noaidi reveals another world, a story that has been silenced in the history of the Swedish nation state. For me, the encounter with Sofia Jannok’s music and stories opened the door to a new world-view. 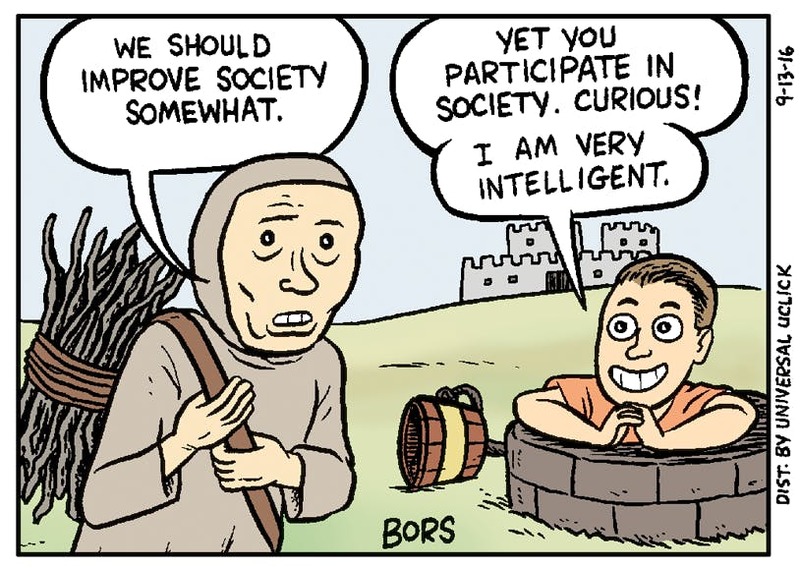 I am an urban middle-class Swede brought up to think that industrialisation is necessary and that this mode of production combined with better welfare distribution means progress for all. I have always had a nudging feeling of something being wrong with the story I have been told but other narratives are rarely given space in the media, nor in the academic contexts or political organisations I have been part of. I was able to interview Jannok to explore the connection between her music, the decolonisation of Sápmi and of Europe, and the necessity of Indigenous rights and Indigenous peoples’ perspectives for all of humanity. This article tells the story of the other world that already exists in Jannok´s Sápmi. I weave a pattern of our conversation, her songs, images of what her stories make me feel, and examples of colonisation past and present. The national media in Sweden are only now opening their eyes to what is happening in Sápmi, because music is bringing these things to the fore. But music has always been an essential part of the decolonisation work that Sápmi has undertaken for as long as I have lived and long before my time. She tells me that she sees her voice as a continuation of the voices of the past. Some of her influences, or precursors, are the yoikers, musicians, and activists Áillohaš (Nils Aslak Valkeapää) and Mari Boine. She also mentions all the music that came out of the action in Alta in Norwegian Finnmark in 1981—a manifestation, Jannok says, that made Norway take Sámi politics seriously, leading them to open a Sámi parliament and sign ILO 169 (the UN convention on Indigenous peoples’ rights, which Sweden still has not signed). I continue what previous generations started: mirroring the contemporary world—as art always does, or at least I think it should. It’s through art and culture that we can look back on what another time was like. From my perspective, neither history books nor the media are impartial. With regard to us in Sápmi, an efficient way of obscuring and oppressing is to say that we don’t exist at all. And because of that I think that art and culture and music gives a more fair and true image of reality, because it is told through the eyes of the ones who experience it. All over the world, the history of Indigenous peoples has mainly been told by the colonisers and of course that yields a pretty slanted image and a very short-term perspective too because the time that colonisation has been going on is only a second if we compare it to how long we have existed on the earth. Through a decolonised picture of reality—this is how we can see the other world that is possible. On her latest album ORDA: This is my land, Jannok has a song that contrasts these two reflections of reality—the colonial and the Indigenous one. When will they understand when to let be? The kitchen—the food, energy, of the colonising world, which has buried our mother’s soul. You—the blind people in the colonial state, who do not see what they have lost. They—the core of the Swedish state, which colonised Sámi land and whose colonial project is ongoing. Like the Indigenous peoples of Turtle Island (North America) who are right now protecting their home and the earth from the Dakota Access Pipeline and the expansion of the Tar Sands, Jannok and the Sámi see that the colonising industry wants to “steal our mother”—a line from Jannok’s song “We are still here”—and so they are protecting the land, water, air that we all depend on. 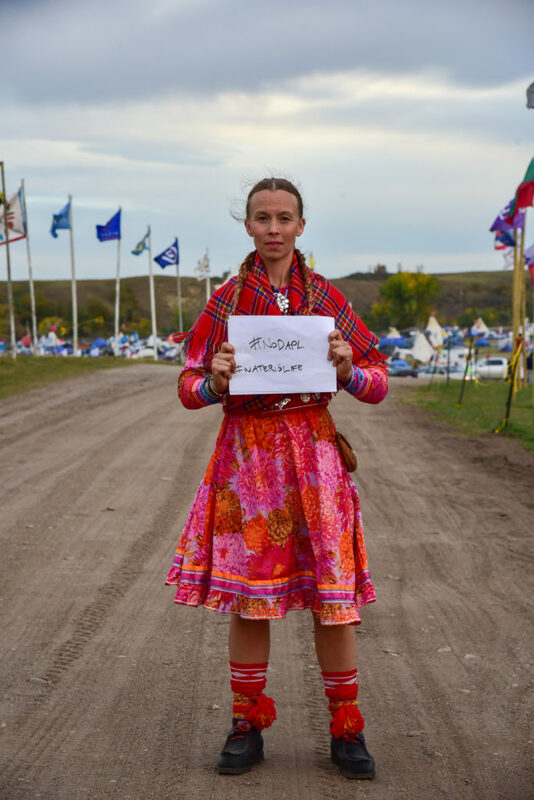 Jannok was in fact part of a Sámi group that went to Standing Rock in North Dakota to show their support for the activists there. But the core of colonial society in Sweden contests the parallels between the Sámi and other Indigenous cultures. On ORDA: This Is My Land, Jannok shows this very clearly by including excerpts from a hearing in a court case between the Sámi reindeer herding community Girjas and the Swedish state—a case that Girjas won, though the state has appealed and a new trial will be held in 2017. I draw parallels to other Indigenous peoples precisely to debunk the opinion that Sámi people aren’t Indigenous. As if that was an opinion when it’s fact, and facts are facts and can’t be overlooked: the Sámi are an Indigenous people. The opposite is to claim that the earth is flat and try to discuss from the starting-point of the earth being flat when we have already agreed that the earth is round. Let’s start the discussion from there. We are an Indigenous people. Grant us our rights, that we have maintained for ourselves for thousands of years. This fact does not stop the Swedish state from telling its own story about the Sámi. 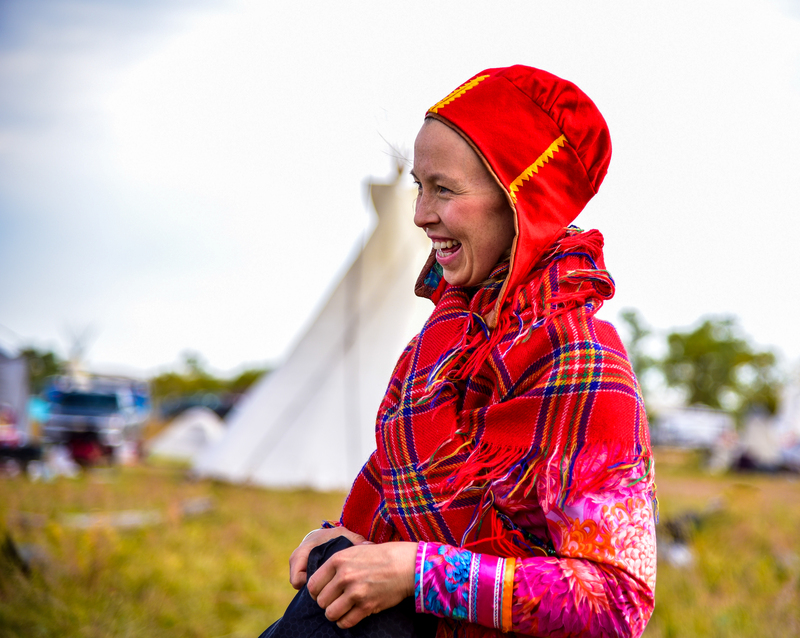 In one of Jannok’s samplings from the hearing, the state attorney questions the concept of ethnicity and its relevance to the description of the situation in Sápmi. Listening to this, I remember the music video to Jannok’s song “Viellja jearrá” (“Brother asks”) where the history of racial biological studies on the Sámi is shown. In the light of the history of Swedish eugenics, we can begin to understand the degree of disrespect shown by the state when it now refuses the Sámi the right to define themselves as an Indigenous community. The state in the past studied the Sámi as a “lower race” and now instead wants to do away with the concept of ethnicity. It is hard to find a better example of how Sámi politics are reframed to suit the political agenda. The state attorney also says that “the State has done its utmost to regulate the reindeer husbandry trade in a generous way” and that “the Sámi have not been subjected to discrimination by the State”. These types of statements can feed widespread prejudices in Sweden about the Sámi as privileged—prejudices claiming that the Sámi both receive special privileges to keep reindeer and benefit from modern infrastructure and technology. What these claims entirely leave out is that the Sámi did not choose to be incorporated into this modern industrial society. The state never asked the Sámi if they would like to abandon a subsistence lifestyle for a professional, regulated reindeer trade. The song reveals how, in a classic case of “divide and conquer,” the idea of Sámi privilege is used by elites to play out oppressed groups against each other. There are numerous examples of what this sundering of neighbours has led to today—ranging from racist comments on the internet, verbal harassment, and vandalisation of Sámi language road signs, to hate crimes such as assault and battery, killed reindeer, and arson of lávvu (the Sámi equivalent of the North American tipi). But “I ryggen på min kolt” tells us that this racism was not always there, that we are all being told lies about the Sámi and the history of Sweden and that this is creating enmity. Decolonisation requires retelling history. “Snowlioness” is partly about how the box that society wants to squeeze me into doesn’t have to be a box. Instead I can be all of this and still have the right to be Sámi. “Diverse” is a good word to describe both Jannok’s Sápmi and the history of northern Scandinavia. The nomadic Sámi population and the settlers of the north coexisted in the past and both groups benefited from their cooperation. Some non-Sámi people had reindeer and many farmers housed Sámi families on the move between summer and winter pastures. This decolonised story of the past is slowly gaining space in mainstream media because of the music and activism of people like Jannok, and finally also in some history books. One of these books is Urfödan: Om självhushållets mat hos folk i Lappland (Ancient food: On the food of self-sufficiency among people in Lapland) in which Lillian Ryd interviews people from the last generations of both settlers and nomads who lived traditional, self-sufficient lives in northern Sweden before industrialisation all but erased these livelihoods. Through such stories about the past, we can begin to see that the people who benefited from the exploitation of land and labour in the north of Sweden were responsible both for the colonisation of Sápmi and for taking the land away from farmers through the 19th century enclosure movement (“Laga Skifte”). The term “renskötsel” (reindeer husbandry) alone is a very clear example of how society has wanted to label a lifestyle to enter it into its laws and regulations, and then deciding who can do reindeer herding and not. To have zero experience, not even having seen a reindeer or visited a reindeer herder’s everyday life, and still regulate and make decisions that don’t match reality. So you only see the tip of the iceberg if you see a privilege. This led to internal conflicts and differences between Sámi people and Sámi people, which has severe consequences even to this day. For the Sámi, the equation doesn’t add up, and it will be the death of us unless someone listens soon. That’s the way it is. This is an Indigenous culture and it depends on the right to land and water and the reindeer and our settlements. Every day that you infringe on these rights it becomes a little harder for us to survive. We have nowhere to go anymore. That’s just how it is. And it doesn’t add up. It doesn’t add up. Hearing these repeated words, I feel the grief that Jannok sings and yoiks in “Grieving”. I feel called on to share a decolonised story of our past with all those who still take out their sense of loss and their anger on the Sámi. Stockholm, Oslo, Helsinki, or the world market should be the target of everyone’s anger, and we should work together to build other ways of living with the land—our mother. There are alternative ways of living—we do not have to sabotage the home we live on in order to live good lives. In fact, if we exploit and pollute the earth, then none of us—like the Sámi now—will have anywhere to go. Colonial society is blind to this. Jannok explains that it is much clearer to her than to many others since she has had the benefit of growing up in a family that is entirely dependent on what nature gives. The relationship to the earth, Jannok says, gives Indigenous peoples an insight that is lost in the industrial core countries of the West. So, as one decolonisation strategy, could we perhaps imagine a Sámi council in Sweden that advises on environmental issues and pushes back colonial-industrial values from decision-making? Absolutely. We even have an example of this in the management of the Laponia world heritage area which is located in a very large part of Swedish Sápmi. Sápmi has fought seven hard years to get a majority on the board. Now every decision has to be reached through consensus, which is a typical way to reach decisions in reindeer herding communities. Majority rule doesn’t work if you are Sámi you know, we’ll lose every vote. We are so few. There are alternative ways of solving it. I really believe in a council where Sápmi actually has the right to say something. Because as it is today there is supposedly consultation and dialogue around every infringement on Sámi land—with LKAB for instance, a large mining company, if they want to prospect for minerals, then the Sámi community is supposed to have a say—but that’s not how it is in reality. You can voice your opinion but no one takes it into consideration. And that’s not dialogue. That’s information. So I think an influential Sámi council is a great idea. I don’t understand why it isn’t already like that, with Sápmi having an obvious role in saying how things affect life, nature, the water, the air, the earth. We are dependent on it and for us it is extremely clear but it’s actually for the benefit of everyone. We can’t drink poisonous water, that’s just how it is. 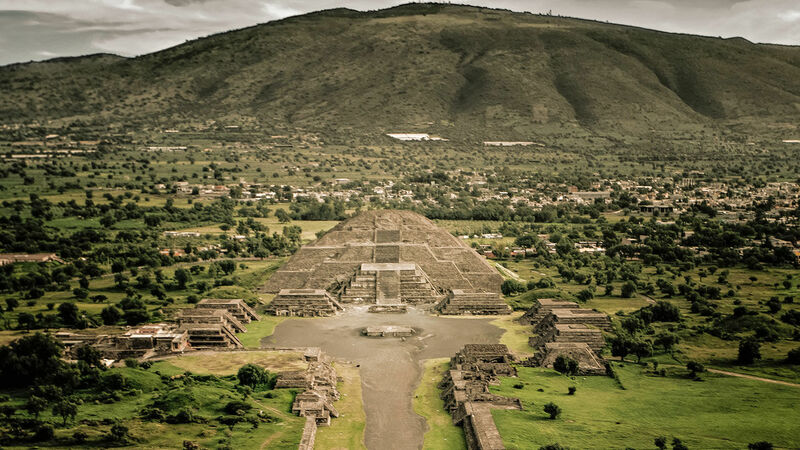 A big part of the world’s population has lost the connection not only to the earth but also with the elders and the knowledge that generations before us had built up. People have been cut off from this, because of industrialism, individualism, egoism, greed. But it is still here, we are still here. Indigenous peoples exist all over the world and we have still got that connection, not least with the elders, the old generation. And with animals and the places we live in. We see how they change. I mean, it is not a coincidence that all the research reports that indicate evidence of climate change and that the gulf stream is changing, these are things that Indigenous peoples have already confirmed decades before. So there is already a lot of evidence that it can be for the good of all to actually listen to these people. This competence that you can find among Indigenous peoples should be used, and it doesn’t have to be proven in accordance with Western methods to be valid. We see, we listen, we feel, we can remind others about how you do this, because we all come from the earth so of course everyone has this ability. To listen. It is a more direct rhetoric. I have moved away from writing more poetically—I’ve always been critical in my songs but allowed art to be art, giving the listener a chance to interpret it in their own way. Now, on my latest album, I don’t want to do this, I want to be as direct as possible. I want to say things that for me have been like saying that the sun rises or something: It’s that it’s light all summer; it is that we are still here. For me it is self-evident, but it apparently isn’t to the ones who always go, ”hey, but, what do you mean with Sámi, do you even exist?” I also want to say “This is my land,” because the focus is always on something other than the fact that this is Indigenous land. Though it is described on every single map—there isn’t one map of Sweden that doesn’t have almost all names in Sámi in northern Sweden. So these self-evident things are what I want to write and I don’t want to leave any space for misinterpretation. It should be clear as daylight what I mean. Jannok and others like her, from Sápmi and other parts of the world, are giving a voice to alternatives. These stories have the power to change people’s minds and dreams—and so they can also change the society we all build together. to sing and to hope that we’ll always belong? What else can I do but to sing all these songs? To support these future sisters (oappáide means “to the sisters”), to help Sápmi stay strong, Jannok has donated money to the Sámi youth choir Vaajmoe—a choir that developed from the need for a meeting-space after the suicides of several young Sámi. And, of course, Jannok’s own music is part of that same movement of singing yourself into existence, making a place in the world for yourself and the people who walk with you. Jannok’s song “Áhpi: Wide as Oceans” is also about suicide; a tribute to those who have left and a comfort to the ones left behind. Áhpi sheds light on a reality that exists and that has a taboo on it: mental health issues. To simply shed light on things that are real but invisible is to acknowledge people who live that life. To be seen. It’s not in the fight for my own existence that my fire has its source. It’s in life. And life is so beautiful, rich, full of laughter, hustle and bustle between bare mountains, forest lakes and cities. With strong ties to my people, both the ones who have passed and the ones who are and the ones who shall come. My inspiration for everything comes first and foremost from all the colours of life. From the riches of Sápmi; pride, power, and the indubitable fire of existence; from love for people and my beloved hoods. Everyone who claims that we’re a minority, on the verge of extinction, a disappearing part of world history, haven’t been to my world. Anyone who has seen it could never claim such a thing. We are fully alive as long as the earth breathes, because we are connected to our land and we will protect it as if it were a matter of protecting our own lives. Because that’s what it is. Indigenous people are survivors, and they must survive for all our sakes—they are at the forefront of the struggle against the accelerating industrial-colonial society that would rather drive us all into the darkest abyss of collapse than to degrow, decolonise, scale down at a controlled pace and find the way back to the land. To survive, the Sámi gain strength through the yoik, through the words and melodies and stories of another world that is possible, a world that is not dead and must not be reinvented because it still lives in these people. Jannok’s yoik is the sound of the noaidi driving out the colonisers from the land and from people’s dreams. Sápmi is the norm, power, beyond doubt. I sing about what I know. I sing about truths that have been censored, removed. But music, language, culture wouldn’t be alive if it weren’t for the human beings. Us. Human beings keep fires alive. And fire in its turn keeps humanity alive. So I can but show respect and gratitude to those who’ve given me the chance to live with pride, all my forefathers and foremothers who have gone before us and shown the way. Mum, dad, family and sinewy ancestors. Without these people we wouldn’t exist, and the music wouldn’t exist. It comes from us. I honour the people who’ve clung to the tundra as the windswept mountain birches, and who never let go no matter how hard the wind blew in times far harder than these. Sápmi as the norm is an alternative to the slanted, short-term perspective of colonial society. Through Jannok, the noaidi’s voice comes to bring a new world to both the minds of Indigenous peoples and the minds of the people in settler societies who may not even understand their own role in the world system. It tells the story of a diverse world where there is room for everyone and where we all know the land. I long for that world, for a place where I can exist. Jannok describes a home that I have been denied by my colonial-industrial culture. Listening to this story of another world, looking at the world through the grieving eyes of Sámi people, we can find ways to decolonise everyone’s minds and the land we are part of—in Sápmi, Sweden, Europe, and the world. Another world is not only possible. It already exists. Rut Elliot Blomqvist is a songwriter, musician, writer, and PhD student in literature and environmental humanities who thinks a lot about environmental justice, degrowth, and the mythologies of contemporary Western society. 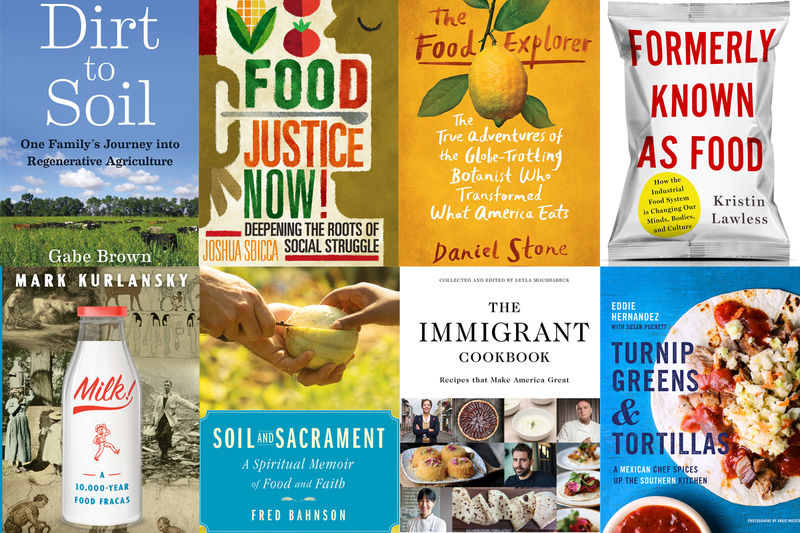 Ze particularly likes to combine storytelling, music and analysis with activism and farming in searching for ways to describe and build a good life for hirself and others. Sofia Jannok’s new album, ORDA: This Is My Land, is available on Discogs, Amazon, iTunes, and Spotify. You can buy other merchandise on her website, www.sofiajannok.com. Go to Go Home Bay and you’ll see the raw, exposed rocks, the crooked pines bent by the hard winds and the heavy snow, clamoring for space on the rocks. You can’t help but imagine what this landscape might have looked like in its pristine form, unsullied by humans. The untouched trees, the clear water heavy with life, the rocks shot through with veins of marble and granite—they seem to carry stories that have little to do with the cumbersome wooden chalets that line the water. These two stories might be conflicting—but they both indicate that this landscape is far from pristine. The primary forest has long been cut down—the timber industry left barely any trees standing. The fish stocks have long been depleted by colonial fishers, robbing the Indigenous people from a major source of subsistence. 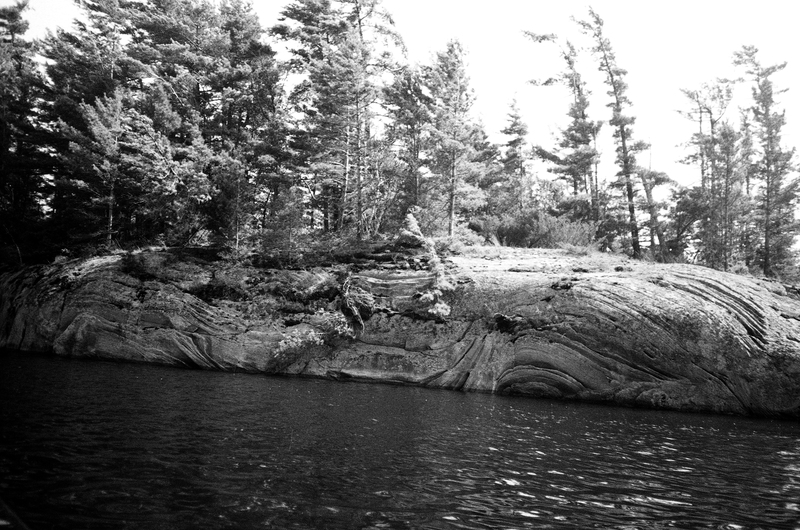 And there were people living here before the picturesque chalets were erected: the Anishinaabeg. This land carries their stories, stories that are still being told. There is no “pristine” nature without humans, not even here. Todd’s writing led me to wonder what stories that pike had carried, and what stories the Anishinaabeg had for it. I felt like an intruder—this catch wasn’t really a victory; it was more like a symbol of loss. For Indigenous people in North America, colonialism is not a force of the past. It violently affects them on a daily basis. And they are constantly resisting and developing new ways of asserting their culture and governance systems. I have often wondered how to carry home what I’ve learned from the struggles of indigenous people in North America. How can Europeans, who have learned to remove themselves in time and place from the horrors of colonization, learn to take responsibility and start a process of decolonization? These questions inevitably leaked in to my own research—how can I do field research, keeping in mind that colonization continues today, both in my “field” (neighborhoods facing gentrification) and within the academy? Todd’s work offers crucial contributions to these questions. Todd is a Métis scholar who has just become a Lecturer at Carleton University, Ottawa, Canada, and is also completing her PhD in Social Anthropology at the University of Aberdeen. Her main research revolves around human-fish relations, colonialism, and Indigenous governance and legal orders in Canada. Some of her other interests include decolonizing anthropology as a discipline, urban planning, and non-academic writing. What first drew me to Todd’s evocative writing was her article on the Scottish independence movement. In it, she suggests that since the Scots and Irish were colonized, their struggles for self-determination should be seen from a decolonial perspective. In her own research on human-fish relationships and the legal orders that Indigenous people put in place to maintain those relationships, she helps inform the nature-culture debate. And in several other articles she suggests ways that anthropology, as an academic discipline can engage in a process of decolonization. One such article—a critique of the “ontological turn”—went viral in anthropology circles last year. Through all this, Todd remains giving and forgiving in her writing. She writes lucidly and poetically, noting injustice while stressing accountability. And she is not content with just telling stories of oppression: she consistently offers stories of resistance and paths for transformation. I was grateful to be able to interview Zoe Todd to further explore these topics. After a discussion that was cut short by poor Internet service on my end, we continued the conversation via email. I’ve put together these two conversations in a shortened, more legible, format. Could you explain a bit how your work challenges this idea that colonization is “a thing of the past”? Colonialism is an ongoing reality in Canada. In recent years, I have worked with people who experienced the horrific impacts of Canada’s Indian Residential School System. The Residential School that many of the people I worked with attended didn’t close until 1996. There are residential school survivors in Canada who are only a bit older than me. In my own family, the impacts of colonialism are also visceral. I am two generations removed from my grandfather’s lifetime, when he and his parents were kicked off their land in northern Alberta at the St Paul des Métis settlement. But the stories, the trauma of that? Real and present. Not as direct as they were for my grandfather’s generation, but still present. In May, the Truth and Reconciliation Commission of Canada released an executive summary of its forthcoming six-volume report on its inquiry into the experiences of Residential School survivors. Reading that summary, which lays out the awfulness and violence of the Residential School System, and hearing Justice Murray Sinclair declare that Canada is guilty of perpetuating cultural genocide? That really makes it clear that colonialism is an ongoing reality in Canada. (It’s also why my colleagues Joseph Paul Murdoch-Flowers and Erica Violet Lee and I started a video project called #ReadTheTRCReport in which people have uploaded videos of themselves reading sections of the report—there is a visceral, embodied experience in reading it aloud that makes it impossible to ignore the stories and findings within the report). How does your own research go beyond depicting Indigenous people as victims, but rather as actively struggling against colonization? I work in the Canadian Arctic, in a small village or hamlet in an Inuvialuit community named Paulatuuq. I’m looking at how Inuvialuit people in this community have negotiated their reciprocal and ongoing duties to the land and to fish while contending with state-imposed ideas about the appropriate ways to define animals, define the land, define how to engage with exploitative industry. People in Paulatuuq are asserting their laws, but doing it in a way that negotiates a simultaneous but contradictory sameness and difference between their legal orders and their relationship to place (and to the State). Engaging with those aspects of state law that they absolutely have to. So the word I used to describe it is they’re “refracting” colonial forces by asserting their laws in the ways that they can. It may appear that people are being co-opted into co-management but when you’re sitting in those meetings and you’re talking to people it is apparent that they are engaging actively with the scientists and the bureaucrats in a really creative way. What’s so amazing about Indigenous sovereignty and self-determination is that people are finding these really creative ways to continue to assert their cosmologies or world-views or laws in the face of all of these competing left-leaning, right-leaning, neoliberal, socialist definitions of how people should behave. Could the formalization of Indigenous law by a settler state contribute to the continued colonization of Indigenous people? Some people have argued that this was the case in Bolivia, where sumak kawsay (Buen Vivir), an Indigenous concept, was put into law. My work is really so small and nascent compared to the incredibly nuanced and ongoing work on Indigenous legal orders and legal pluralities that Indigenous scholars John Borrows, Val Napoleon and Tracey Lindberg (among others) are doing here in Canada. I think their work really demonstrates why it’s important for States like Canada to acknowledge their duties to the legal orders of the people whose ancestry and knowledge and stories of this place stretch to Time Immemorial. I think that the legal pluralistic approach that Borrows advocates for is really important. It demonstrates that Indigenous legal orders that incorporate reciprocal relationships between people, the land, the non-human constituents of the land, water and sky are incredibly important for this country as it contends with increasing pressures to extract oil and gas, mine ore, and dam more waterways. I started my blog in 2010 when I was wrapping up my MSc at the University of Alberta. My passion is Indigenous issues and decolonization in urban prairie contexts. (Having grown up as a Métis woman in Edmonton, Alberta, Canada). I had done a pecha kucha talk on ‘Edmonton as an Aboriginal City’ at a city sponsored event in June 2010 that garnered quite a bit of positive response, so I started the blog to keep writing about my observations and thoughts about how Edmonton had so thoroughly erased evidence of Indigenous peoples and history in its built form. Though my interests have expanded to other issues, I keep the name of the blog because everything for me still comes back to the land I grew up in: urban Edmonton—amiskwaciwâskahikan, pêhonan, home. Whereas before the colonisation of Canada was framed as an issue of terra nullius, Glen Coulthard argues that urban spaces that Indigenous peoples occupy are conceived as space that belongs to nobody or ‘urbs nullius’. Many people might be surprised that Indigenous issues and urban issues are so linked. But having lived in Canada I’ve seen this play out quite directly—even just the fact that there’s such large Indigenous populations living in Canadian cities. In fact often urban spaces were designed specifically to keep out ‘loitering’ and ‘homeless’ First Nations or Northern Indigenous people. Do you think it is possible for cities to be spaces for Indigenous people, and what practical urban planning strategies could make that a reality? Well, every city in Canada is on Indigenous land! So, by necessity, we have to address this fundamental relationship between land, Indigenous nations and urbanism in Canada. My mentor, Dr. Frank Tough, was the first to really point that out to me. He pointed out that many non-Indigenous folks were framing urban Indigeneity as a ‘recent phenomenon’, but in fact, every city in the country is built on Indigenous land. And cities like Edmonton are built in a very very old gathering place, known in nehiyawewin (Plains Cree) as pêhonan. 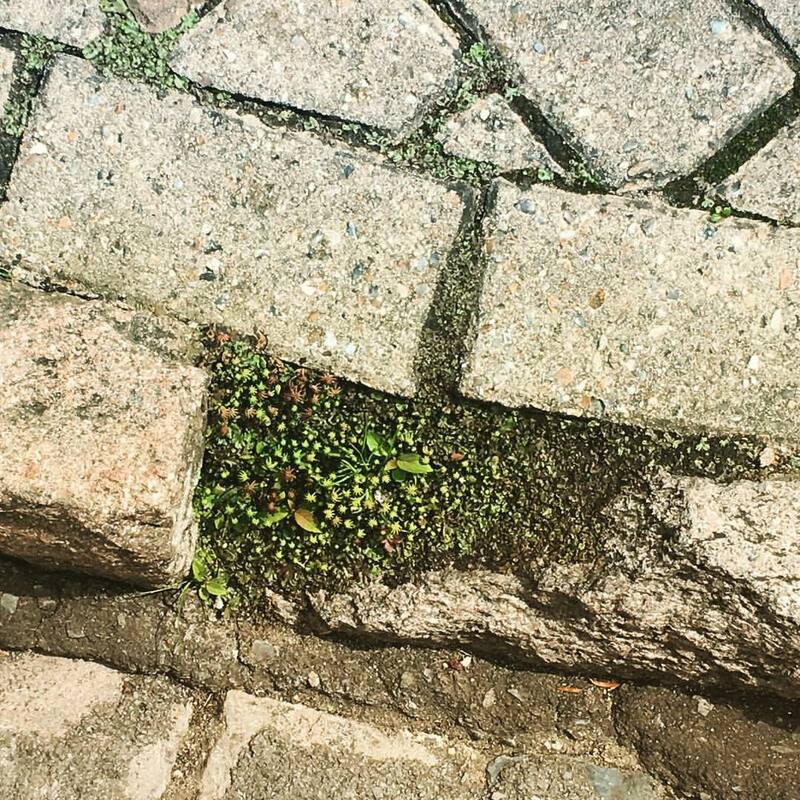 My friend and colleague Sara Breitkreutz, an anthropology PhD student at Concordia University in Montreal, wrote her master’s dissertation on the ‘revitalization’ of Cabot Square in Montreal, wherein I understand that a lot of anxieties about race and Indigeneity came to the fore in discussions about re-designing the space. In Edmonton, there are a lot of tensions around the presence of urban Indigenous people in spaces that urban planners, architects, developers, politicians want to ‘revitalise’. Yellowknives Dene scholar Glen Coulthard argues that one of the fundamental issues at play in urban gentrification in Canada is that it is an extension of settler colonialism. So, whereas before the colonisation of Canada was framed as an issue of terra nullius, Glen argues that urban spaces that Indigenous peoples occupy are conceived as space that belongs to nobody or ‘urbs nullius’. So, I totally agree with you that urban planning continues to marginalize Indigenous people. I think that in order to change that we have to re-frame cities in Canada as what they are: urban communities built on Indigenous land. And in that, we must centre the reciprocal relationships between non-Indigenous people to Indigenous peoples, Indigenous lands, Indigenous legal orders, language, and community. Currently there is a lot of work being done, partly inspired by Bruno Latour, challenging this idea that there is a nature-culture divide, which anthropologists now call the ‘ontological turn.’ How do you criticize this from an Indigenous perspective? The real crux of my critique of the ontological turn is not that it is wrong. They’re on the right track by acknowledging the nature-culture divide. They are absolutely correct, as an Indigenous feminist I read that as a hopeful moment. But we have to acknowledge that any movement is embedded in institutions and structures and the ontological turn itself has been developed by really wonderful Indigenous thinkers as well as non-Indigenous thinkers. However, as Sara Ahmed points out, it seems that white male scholars are often those that are cited within philosophy and the broader academy, and other people are ignored. I think that if we’re going to talk about the nature-culture divide we need to be explicit about scholarly work as a colonial tool, and Indigenous legal structures as credible, robust, and dynamic ways of thinking. And also ways of asserting and thinking through relationships between people, whether they’re human or not. My real critique is that Indigenous thinkers all over the world have been making exactly this point for decades, if not centuries (if you read or listen to the accounts of how the Historic Numbered Treaties in Canada were settled, Indigenous thinkers were asserting a view of the world that inherently disputes the Euro-Western nature-culture divide). But they aren’t often credited—for example, Val Napoleon and her colleague Hadley Friedland argue that Indigenous legal orders are not fragile, but in fact very robust. I think that if we’re going to talk about the nature-culture divide we need to be explicit about scholarly work as a colonial tool, and Indigenous legal structures as credible, robust, and dynamic ways of thinking. And also ways of asserting and thinking through relationships between people, whether they’re human or not. So for me, I think that the danger with the ontological turn is that it’s still coming from a Eurocentric perspective and doesn’t acknowledge, not just ideas but the laws that Indigenous people form that hold people accountable and that place the environment as a sentient thing. And so, I think we need to re-examine how we as scholars are also enacting legal governance and ethical duties toward our work. Do you see that conversation happening in anthropology? In Canada, with the work of Indigenous scholars, there is a direct acknowledgement that when Indigenous people are talking about their works, they’re not just talking about ontologies, they’re talking about concrete laws and ways of resolving conflict and engaging with the world. To be brutally honest, my experience in the UK really didn’t give me hope that scholars can be held directly accountable to the people that they’re speaking for. People make claims about how they’re speaking with people, and I want to see us actually ask: how do you assess that? Why are there no Indigenous people on the panels? There were very few Indigenous anthropology students in the UK that I’ve met. For me, the proof will be in how the diversity of a department actually reflects the diversity of the people that we say we work with. The academy itself has to make a change. There are concrete ways that can happen and there are people that are already talking about how that can happen. A new breed of environmentalists, calling themselves eco-modernists, seem to have run with ‘the ontological turn’, arguing that since ‘there is no nature’, conservationism actually won’t help, it is totally up to us to manage, maintain, and design the Earth. What would you say about these “ecomodernists” who take Latour’s argument to another level, using it to justify apolitical, technological solutions? Frankly, that whole idea of technology saving us from our own capitalist exploitation of the environment is just wishful thinking. What Indigenous legal orders (ontologies if you must) bring to the table is an acknowledgement that we have reciprocal duties to the land, to the other-than-human. And in those duties, there are responsibilities not to destroy entire watersheds, pollute whole lakes, raze mountains for ore. Because there are real legal-governance, social, cultural, living consequences to those actions. I’m hopeful that maybe some technological solutions can help us with the immediate crises we find ourselves in. But we cannot continue to relate to one another, to the land, to the fish, the birds, the bears, the plants in the way that we have been doing since the beginning of the Industrial revolution. Indigenous legal orders, the little bit that I can claim to understand of them, orient us to a much more accountable legal-governance relationship between all things/people/beings. How do you see Scottish independence from an Indigenous and decolonial perspective? I was studying at Aberdeen in the Department of Anthropology. Since October 2010, I’ve been splitting my time between Canada and Scotland. I had a front seat to the independence debate and the referendum. For me as a Métis woman with Scotch-Irish roots on my Métis side of the family, it was really really fascinating and kind of amazing to be there to witness that. Particularly because of the entanglement of histories between Scottish people and Indigenous people in Canada. As an Indigenous person from North America I think that we need to have robust conversations about how, in the case of Scotland, at least, as a group of people that were internally colonized, or who had their self-determination violated by the Enlgish, they also, in turn, came in very large numbers to what is now Canada and participated actively in the dispossession and colonization of Indigenous peoples here. So I’m a bit weary of making direct comparisons between Scottish independence and Indigenous self-determination and sovereignty in North America, just because I think we also need to deconstruct that relationship between people re-visiting or re-creating their colonization or oppression upon another group. I call it the circulation of colonial violence. But I do think there’s a lot to be learned from these movements where people are pushing back against capitalist nation-state violation of people’s relationships to their own legal order and self-determination. Speaking as an Indigenous person from Canada, I do think there’s a lot that we can learn from Indigenous thinkers, activists, and philosophers. Did you see those conversations happening in Scotland, where they link their own movements for autonomy in solidarity with Indigenous autonomy movements? I have a complicated answer to that question. There was a lot of discourse in the Canadian media and the British media making a comparison between Quebec and Scotland, saying that Quebec independence and Scottish independence are the same thing. Or, sort of, learning from one another. But the thing with the Quebec independence movement is that it often involves a denial of Indigenous sovereignty in the province. And so I actually didn’t think the comparison in Scotland is really analogous (or helpful—because it erases or glosses over this egregious problem with the way Quebec sovereignty discourses can deny that Quebec exists because the French occupied sovereign Indigenous lands. That’s a conversation for another day, though). The analogue, I think, for me, is that the Scots did manage to assert their own nationhood in a way by legislating and administering Canada into existence. Our first Prime Minister was a Scottish person, John A. MacDonald. This discourse of the English saying that the Scots don’t have what it takes to run a country I find really amusing. If we’re going to make really simple analogies, I think that an under-recognized discourse is how the Scots played such a heavy role in administering Canada into existence. So, in that sense, the Scots have already proven they can govern—they helped bring a whole nation state into existence! However, it’s very difficult to talk about the Scottish role or complicity in British colonialism within Scotland. I got the sense that it is a very taboo topic—it disrupts the framing of Scots as victims of the English. I acknowledge that it’s a big ask for me as an Indigenous person to demand that 5 million Scottish people admit their complicity in the ongoing colonial realities of British Empire. But there were moments where I did have conversations with people. And people were amenable to, kind of, discussing those complicated relationships. And I found that really hopeful because colonialism is so paradoxical and complicated. One thing I’m very weary of is when Scottish people talk about themselves as an ‘Indigenous’ people. The problem, as I learned through my time living there, is that this is a co-optation of the meaning of the word “Indigenous”, as it is defined by the United Nations. I was speaking to someone who said that some of the politicians promoting a pro-independence discourse deliberately strayed away from acknowledging Indigenous peoples (like me and other people from around the globe) who live in Scotland. This was deliberate because in Europe, Indigeneity has been co-opted by white supremacists, who talk about indigeneity as, you know, ‘Indigenous white people’ being impacted by non-white people moving in to their country. My understanding is that Pro-independence politicians didn’t want to invoke that scary xenophobic discourse, and I appreciate that. It’s so dangerous to conflate that white supremacist narrative so dominant in Europe at the moment with indigeneity of people who were moved out of the way and whose lands were taken and who were brutally oppressed to enable Europeans to colonize their nation. However, I hope we can some day talk about how Scots do have a reciprocal relationship to the peoples that were colonized by them—including Indigenous peoples around the globe. As a Métis scholar who has lived in Europe, what was your experience of attitudes toward Indigenous people? How would you like to see those conversations going forward? I think that some people really truly do care about the impacts that European colonialism has had on the world. I think that there are care-full and accountable people everywhere, and I don’t want to paint with too-broad brush strokes. However, in my time in Europe I had a keen experience of the disconnect between the visceral issues I see and experience and bear witness to at home—such as the direct and painful impacts of Missing and Murdered Indigenous Women, Two Spirit People and Girls on Indigenous communities in Canada— and the way these issues are abstract, intellectual, distant in Europe. In Europe, I feel that the direct and visceral [ongoing!] colonial experiences of Indigenous peoples are attenuated by space and time. It’s so hard to convey what these violent, painful issues lived and experienced by Indigenous peoples mean, in an embodied and lived sense, to Europeans when people in Europe are not physically present in our diverse and dynamic Indigenous territories in North America to see the impacts for themselves. In that sense, I think it becomes easy to romanticize and distort the ongoing colonial experience of Indigenous peoples, to not see the harm in appropriating Indigenous material culture or legal orders or stories. Whereas in Canada there is an ongoing legal-governance conversation about Indigenous nationhood and peoplehood, about the ‘nation to nation’ relationship that was acknowledged in the 1996 Royal Commission on Aboriginal Peoples—in Europe there is none of this understanding of direct legal-governance accountability, reciprocity or indeed a very robust conversation about reconciliation (in all its nuances and complexities and problematics). So, I think that at the very least, the conversation needs to start with: colonialism is an ongoing imperative. We have ties that bind us across the ocean. Indigenous peoples are very much alive, to reference Thomas King’s (2013) work in his book The Inconvenient Indian. I get the sense that many Europeans simply assume Indigenous peoples are what King calls ‘dead Indians’ (King 2013:53) and I think that many Europeans only want to deal with the idea of Indigeneity. But, the reality is that Indigenous peoples are very insistently ALIVE. And so the conversation needs to start from a) acknowledging how contemporary Europe still benefits from its colonial imperatives and b) understanding that any kind of contemporary conversation requires addressing Indigenous peoples as living and present. The reality is that Indigenous peoples are very insistently ALIVE. And so the conversation needs to start from a) acknowledging how contemporary Europe still benefits from its colonial imperatives and b) understanding that any kind of contemporary conversation requires addressing Indigenous peoples as living and present. What could ‘decolonizing’ European activism look like? I think it starts with dealing with the deeply rooted ideologies that Europe exported in its colonial work. In the UK, I see the suffering and class hierarchies and exploitation of the downtrodden as a harmful series of ideologies forced onto other peoples/nations/societies around the globe. I see the logics that Canada’s First Prime Minister, Glasgow-born John A. MacDonald, employed to send Indigenous children to residential school echoed in the ‘welfare’ (and that is really too generous a word for what the UK government is doing to the poor) policies of the UK government. So, for me, a ‘decolonizing’ European activism tackles the very intellectual and political and social theories and beliefs that were used to justify violence and dispossession around the world. It requires a conversation about what a generous, kind, caring governance and societal model would look like. It means stopping the needless suffering I saw in Europe—tackling the vicious anti-immigration rhetoric that pervades many European jurisdictions, tackling the angry anti-poor rhetoric used by the government. And dealing with ongoing racism in European institutions. Stuff like that. Loving accountability, if you will. You are a prolific writer as well as an academic. How does your writing fit in with your academic pursuits? How do they compliment each other? Writing is how I stay alive. It is a way of being and a way of rooting myself in place when I don’t have a permanent home or place to attach myself to. I would say in that sense my writing is very much part of my Métis diasporic identity. It gives me a way to create home when that is something uncertain or unstable in my life. I also use my blog to write about things that do not directly relate to my research, so that I have a place to hold those thoughts while I work on other academic projects. Writing is how I stay alive. It is a way of being and a way of rooting myself in place when I don’t have a permanent home or place to attach myself to. I would say in that sense my writing is very much part of my Métis diasporic identity. It gives me a way to create home when that is something uncertain or unstable in my life. How do ideas form that you want to write about? How do you start writing a piece, and what drives you when you write? One of my friends noted in awe when something I wrote went viral—’you wrote that darn thing in an hour, didn’t you?’. And it’s true. I usually formulate ideas over an extended period of time, usually while I’m walking around. Walking is really important to me—it is when I sort out ideas and narratives. When I sit down to write something it’s usually already roughly planned out in my head and then I just put it to paper (or blog). I write because I want to contribute to conversations about issues that matter. I write because I want there to be a place for divergent voices. I know that quite often what I am writing wouldn’t make it through the regular channels. I love that blogs and social media are such a powerful medium for those not broadly represented in the physical make-up of the academy. Looking to the future, what projects are you working on? Is there anything you’ve recently read that has inspired you? I just started a tenure-track position so my current focus is on wrapping on the PhD and really digging my feet into my new role. I’m incredibly excited to start teaching. As for my work—I’m starting to plan out a new research project. I will be returning back to Alberta, to my home territory, to examine human-fish relationships there. To apply what I’ve learned to experiences and stories in my own homeland. So I am incredibly excited. And the most recent thing I read that inspired me is Dr. Tracey Lindberg’s debut novel Birdie. It is about Indigenous women’s strength, power and resurgence. It left me awestruck. Zoe Todd (@ZoeSTodd) (Red River Métis/Otipemisiwak) is a Lecturer at Carleton University, Ottawa, Canada and a PhD Candidate in Social Anthropology at the University of Aberdeen. She is a 2011 Trudeau Foundation Scholar. She researches human-fish relations, colonialism and Indigenous legal orders/governance in Canada. Aaron Vansintjan studies ecological economics, food systems, and urban change. He is editor at Uneven Earth and enjoys journalism, wild fermentations, decolonization and degrowth, and long bicycle rides. 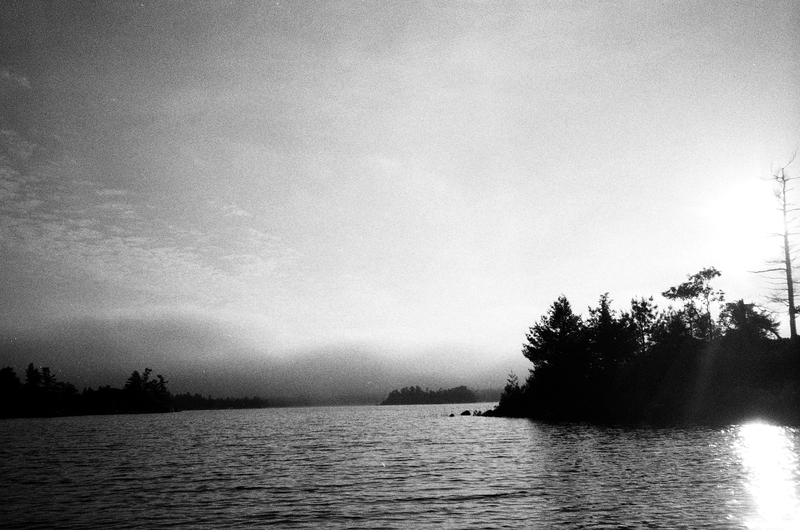 All photos in this article are by Aaron Vansintjan, photographed in Go Home Bay on Anishinaabe territory.